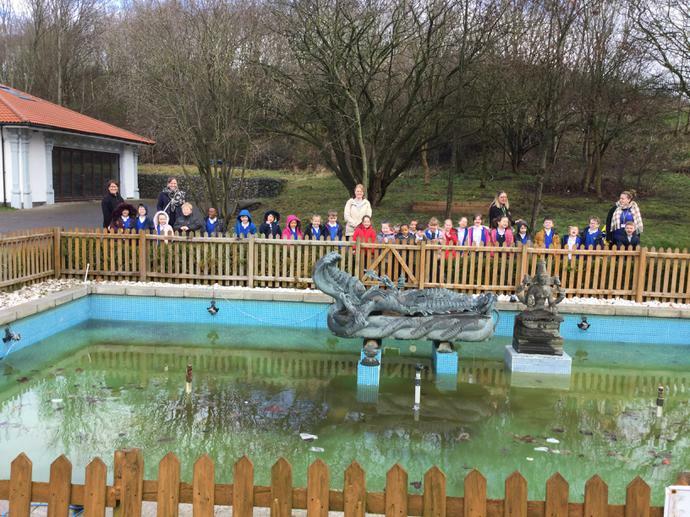 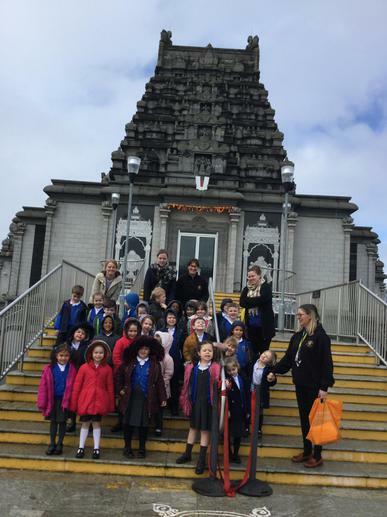 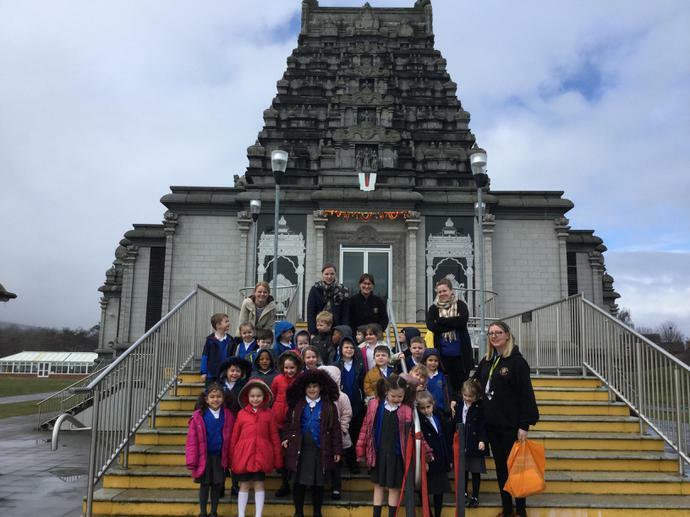 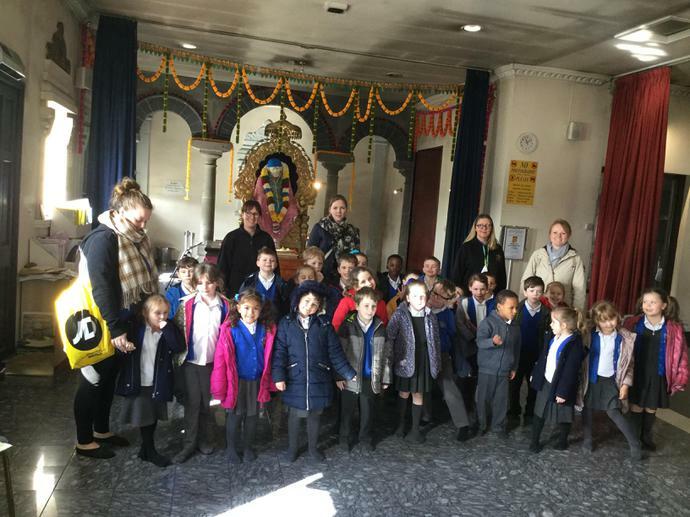 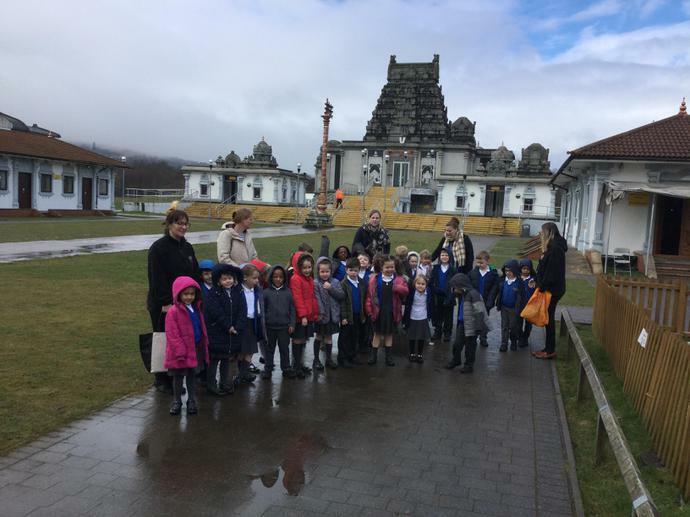 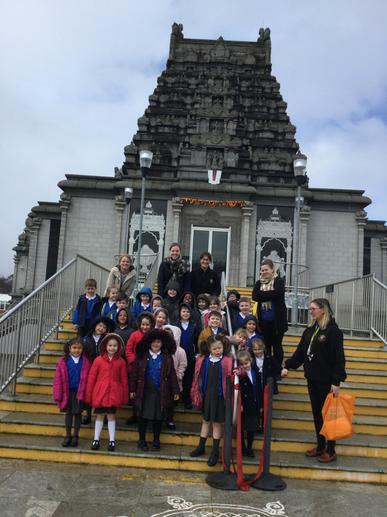 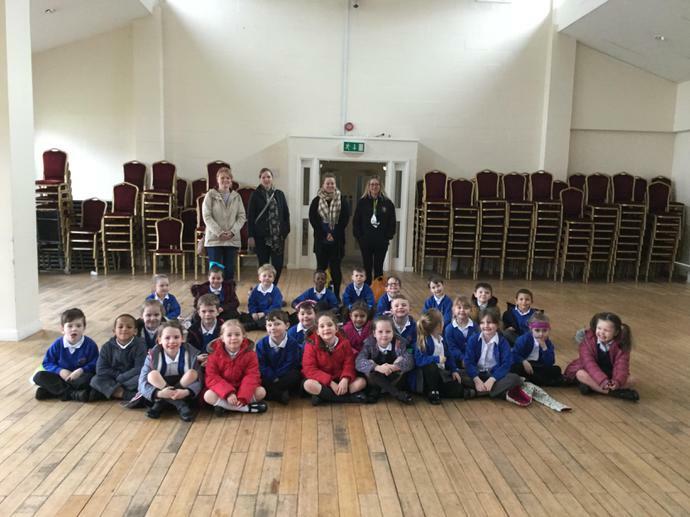 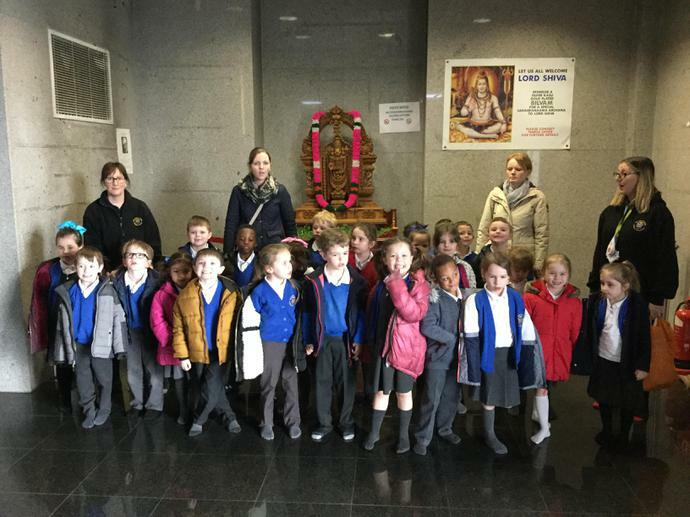 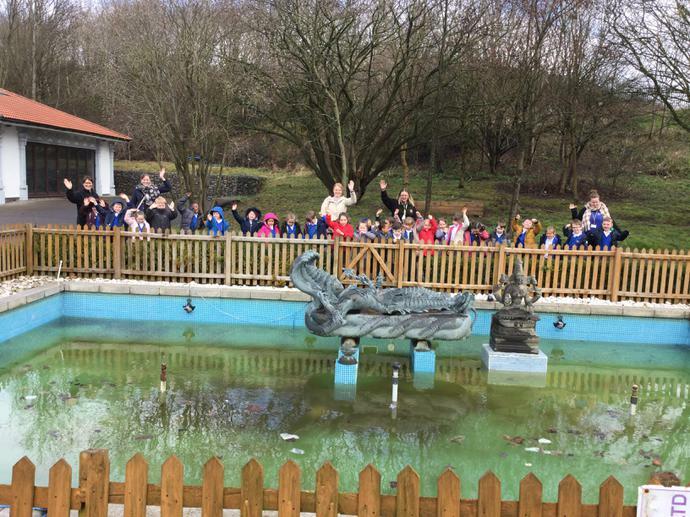 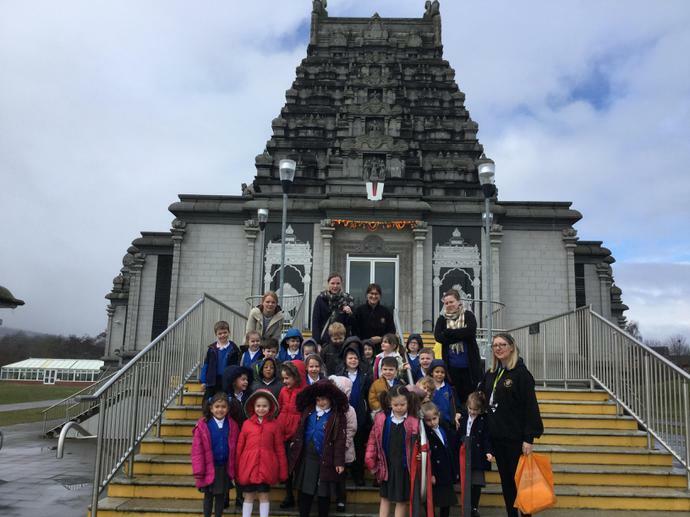 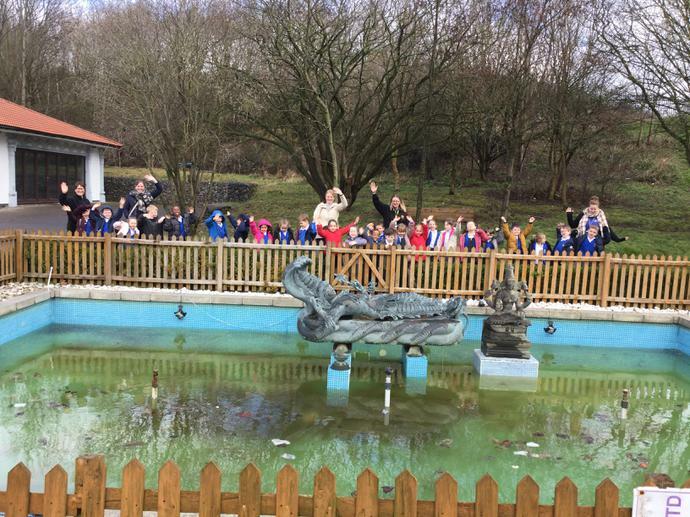 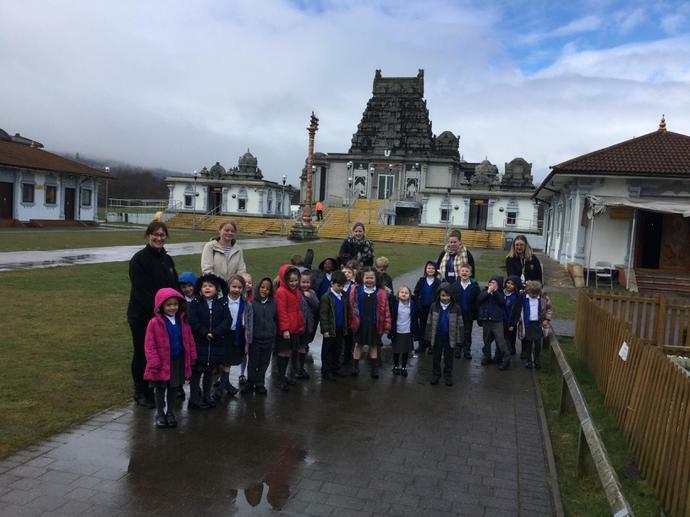 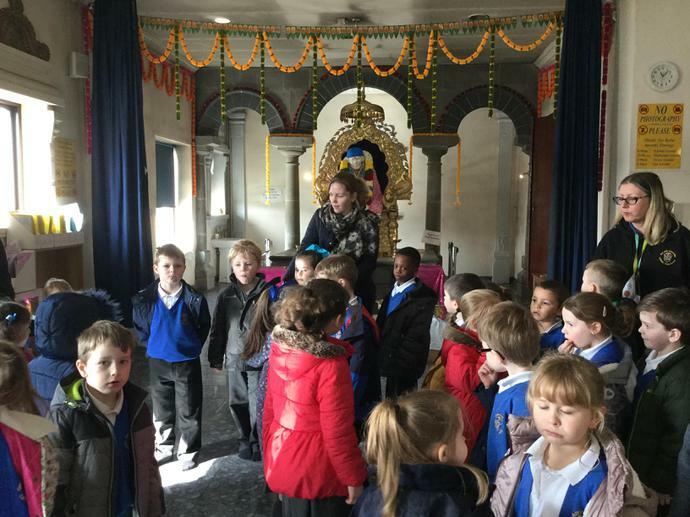 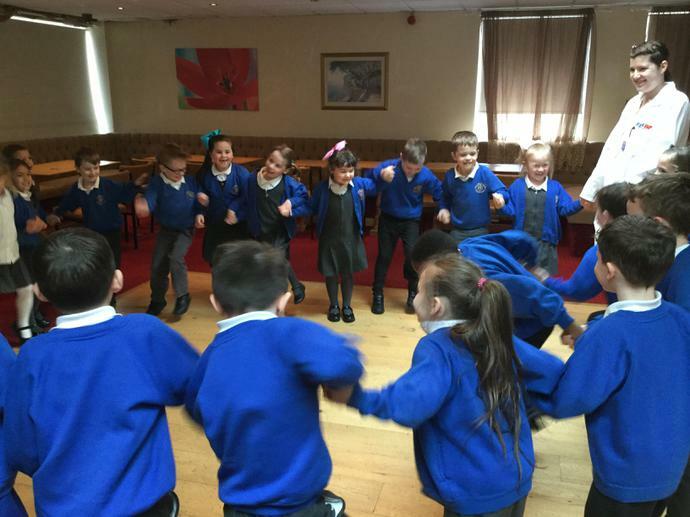 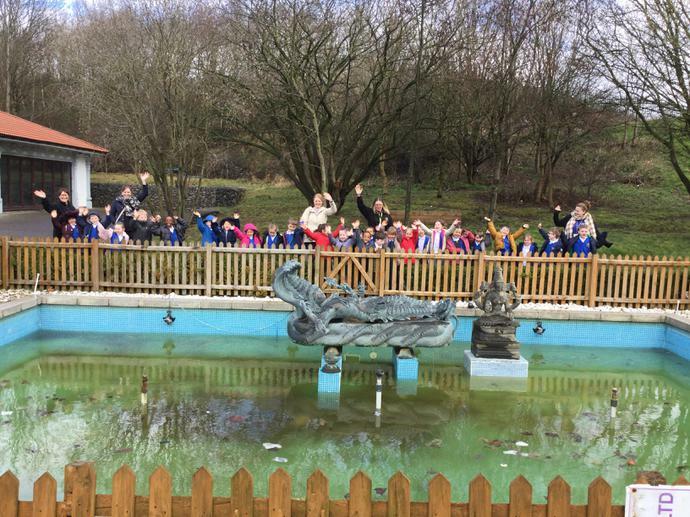 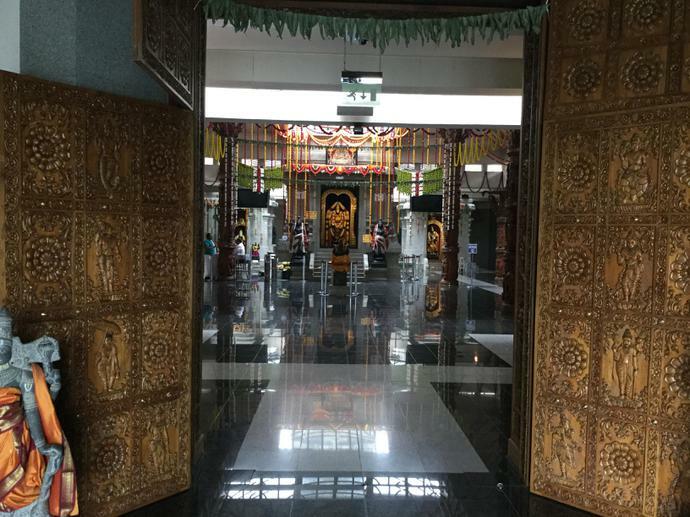 Elm have had a spiritual, fun morning at the Shri Venkateswara Balaji Temple. 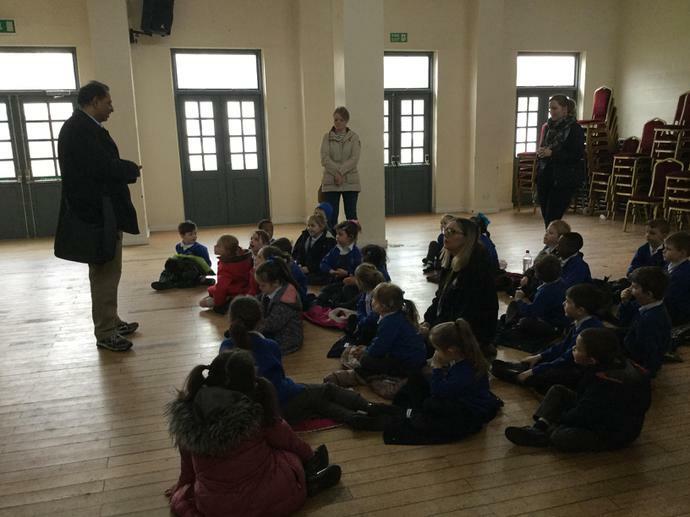 Our guide was very welcoming and the children were very respectful. 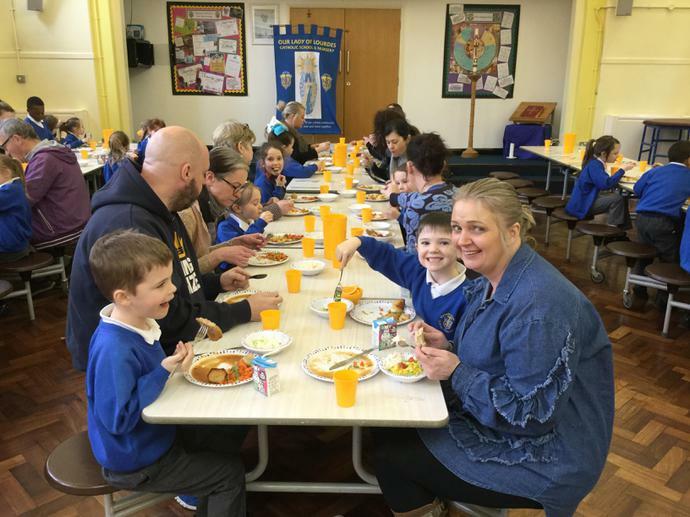 A huge thank you to Mrs Furey and Mrs McCann our parent helpers. 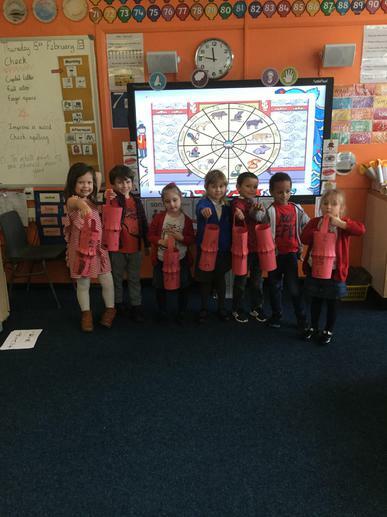 Well done girls on achieving your 15 metre badge. 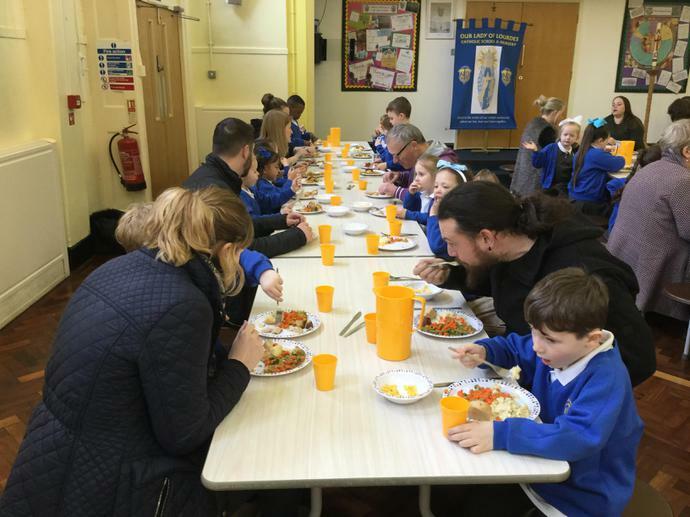 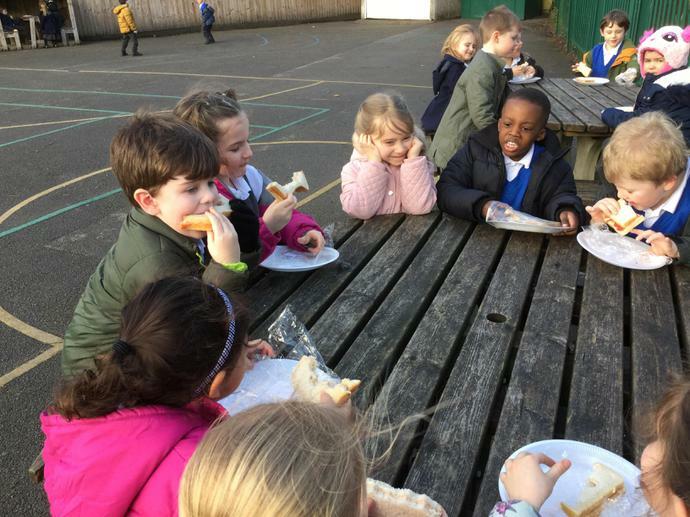 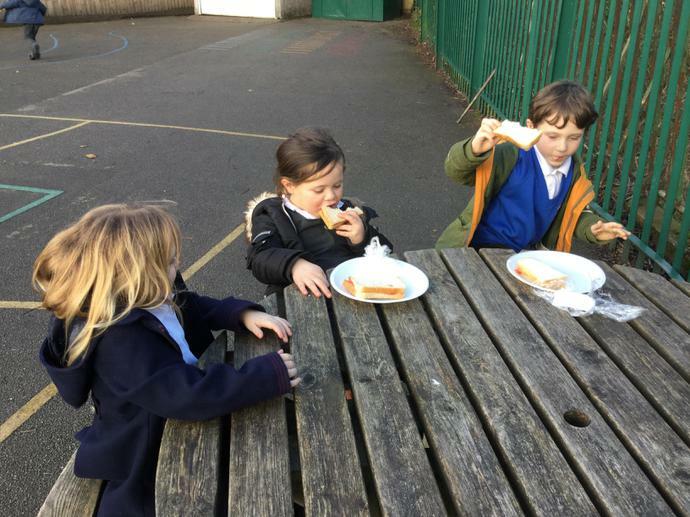 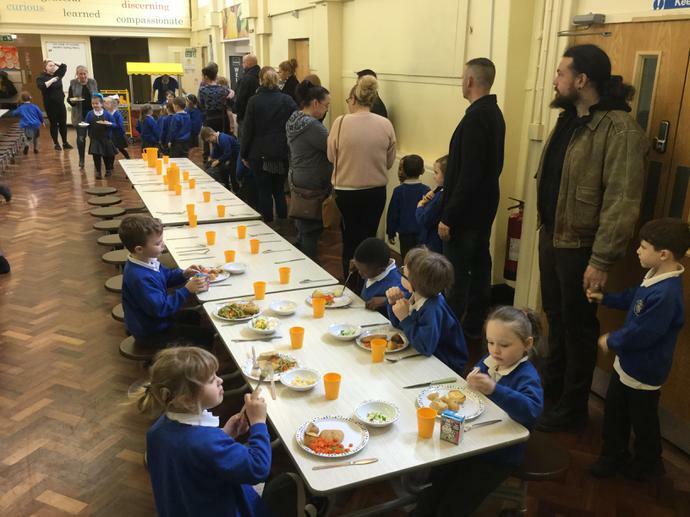 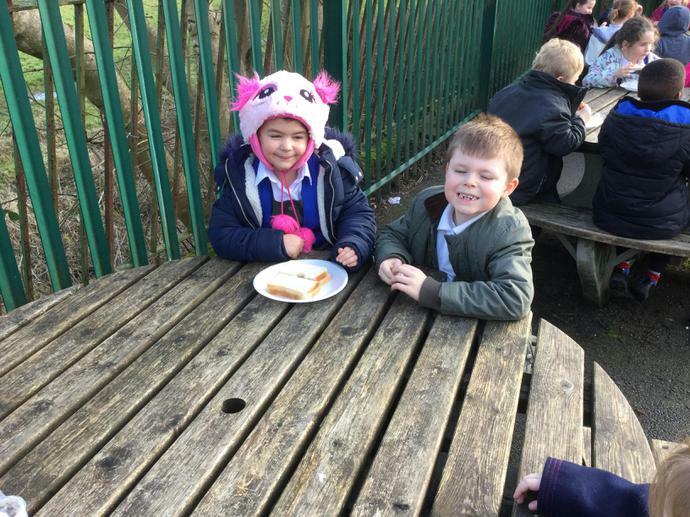 Thank you to the grown-ups that joined Elm for lunch. 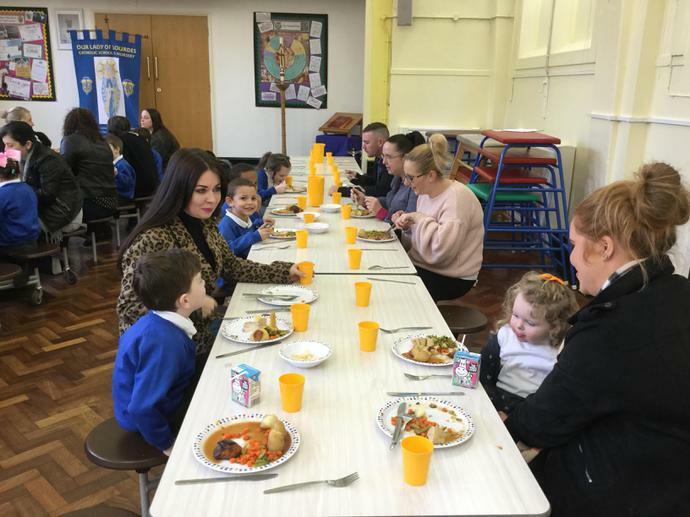 The roast dinner was delicious. 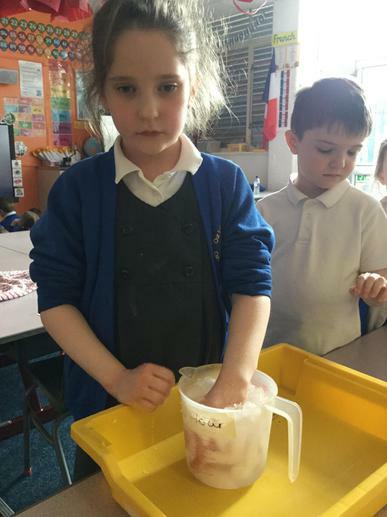 Investigating how blubber helps keep animals warm. 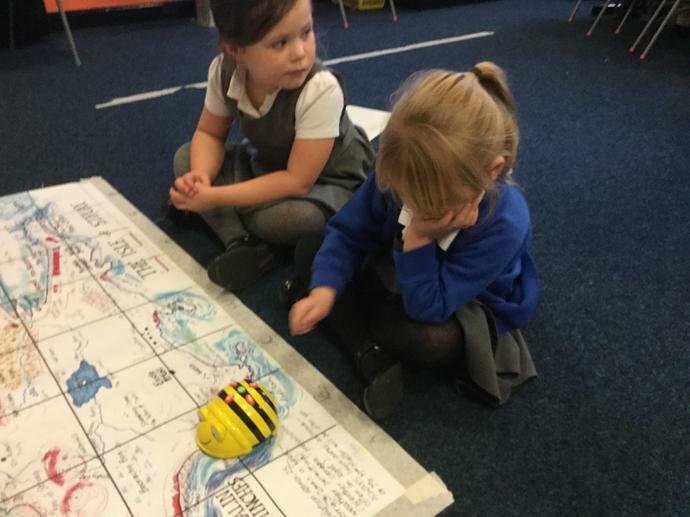 Catherine is teaching Elm about a penguin huddle. 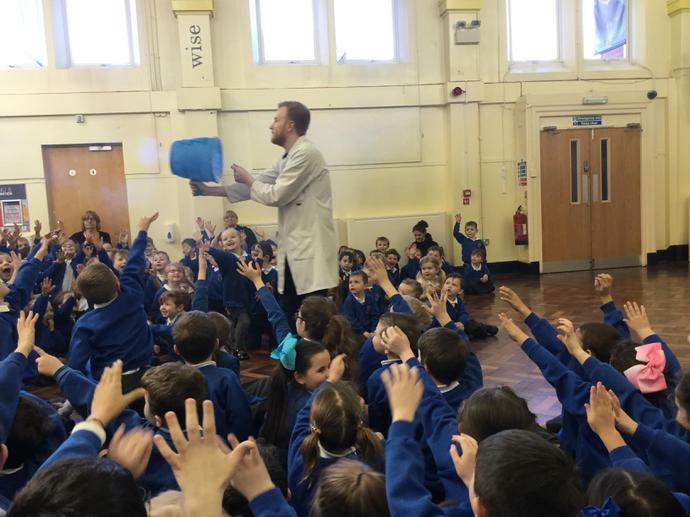 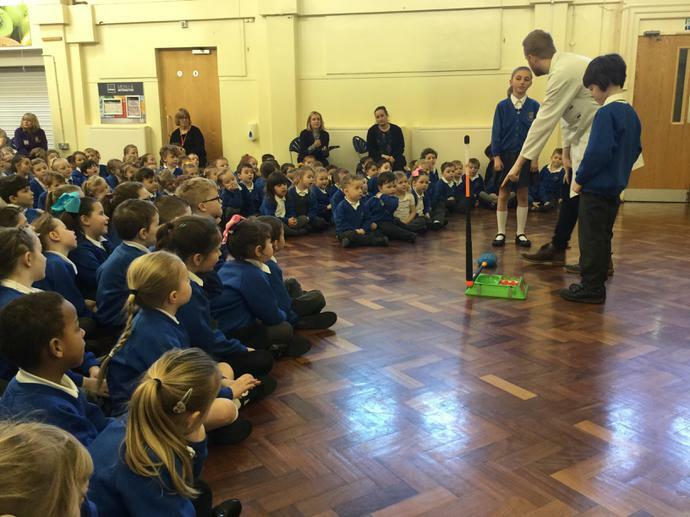 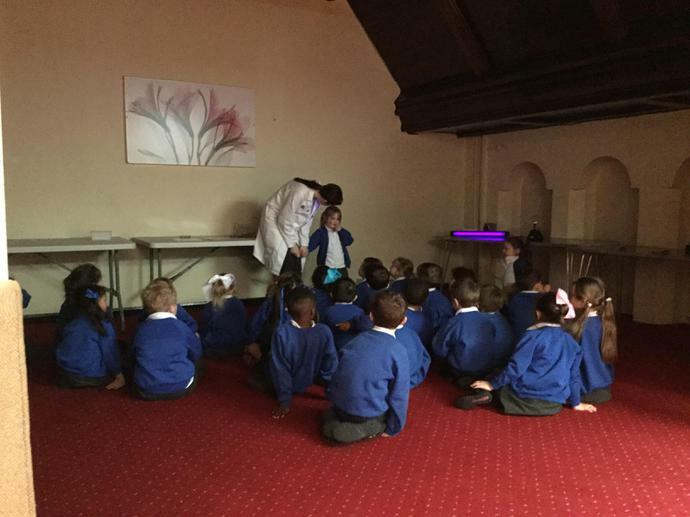 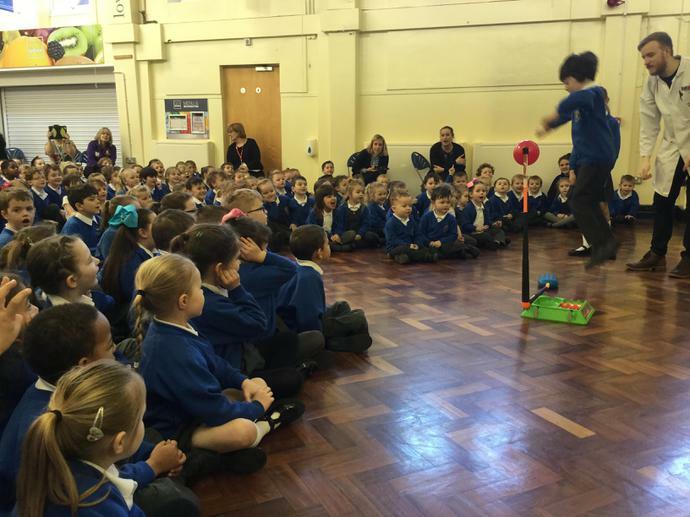 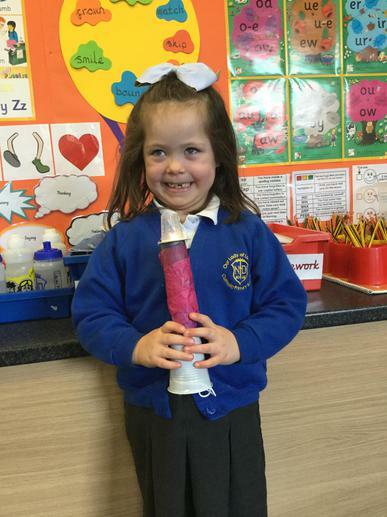 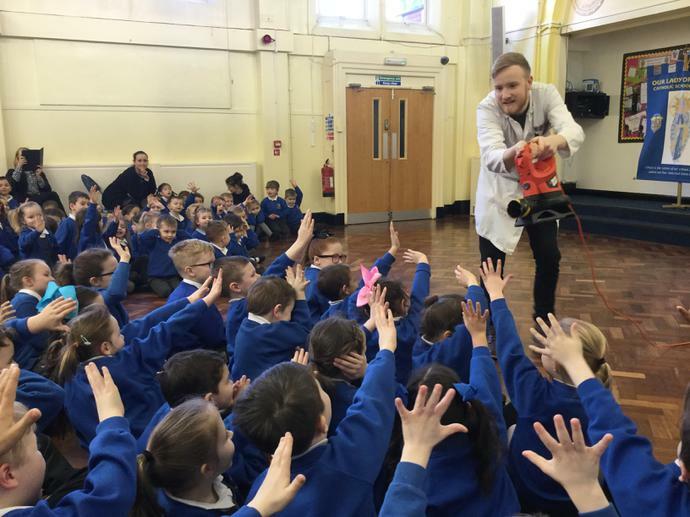 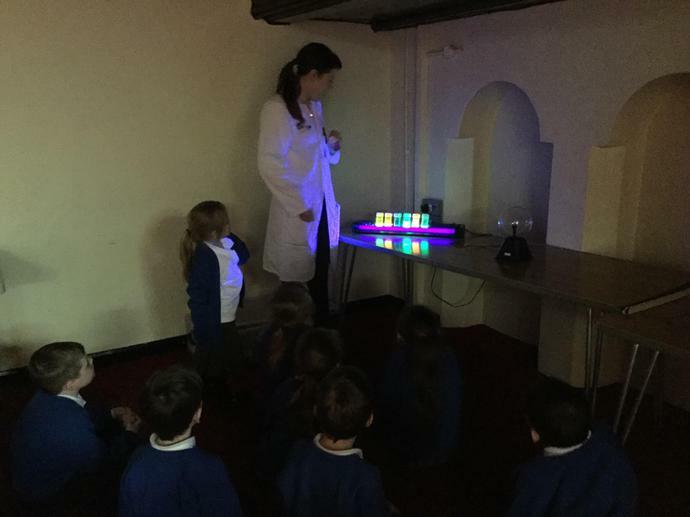 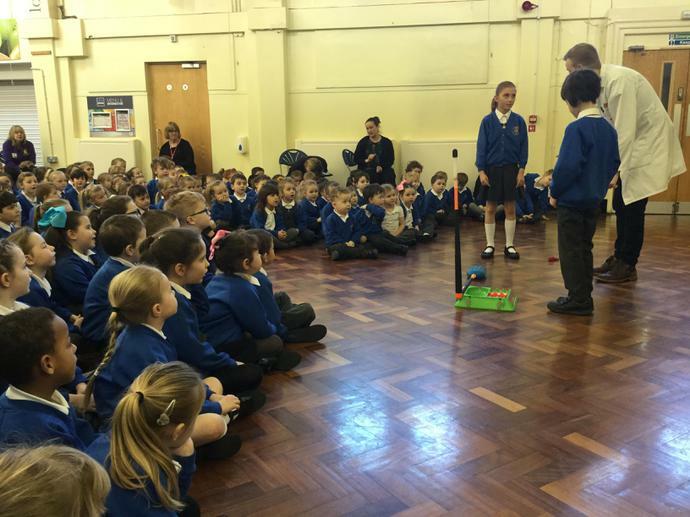 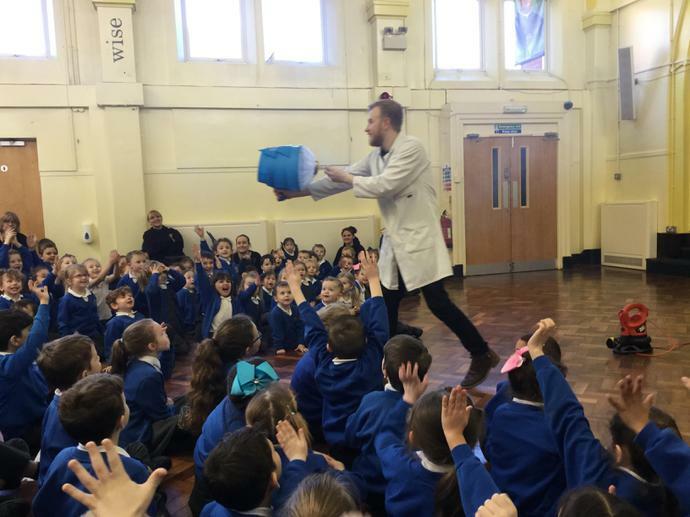 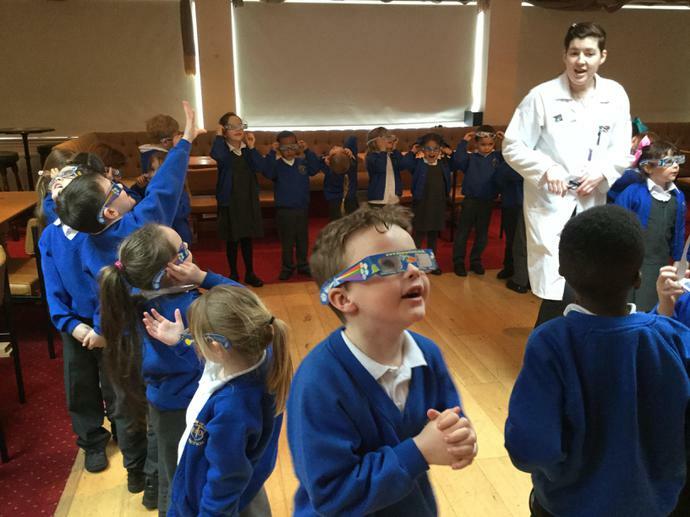 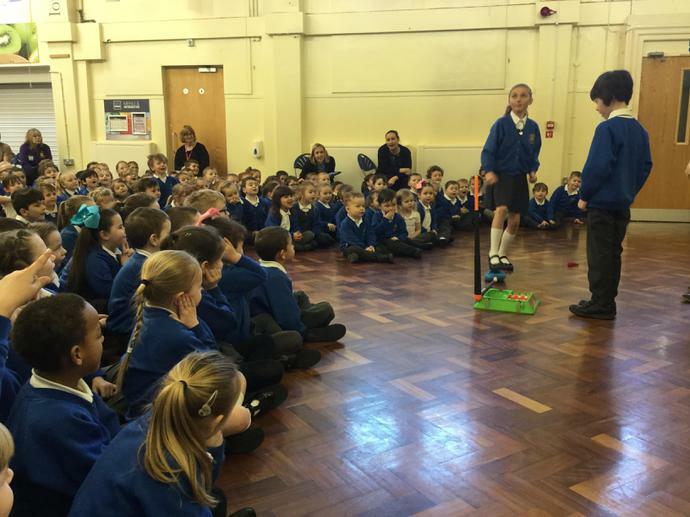 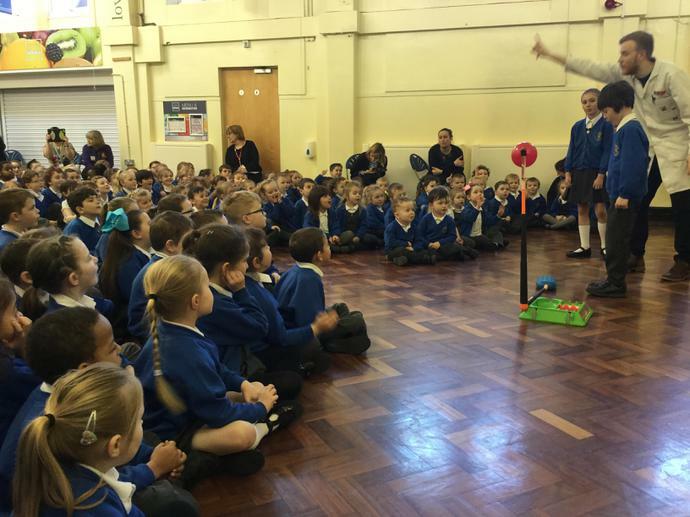 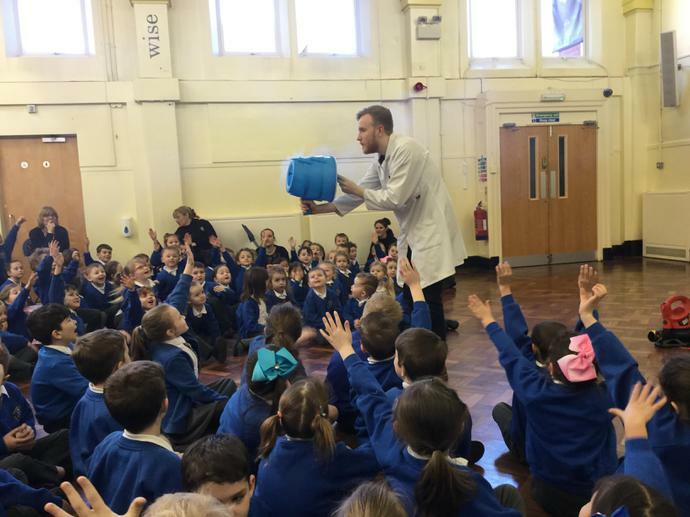 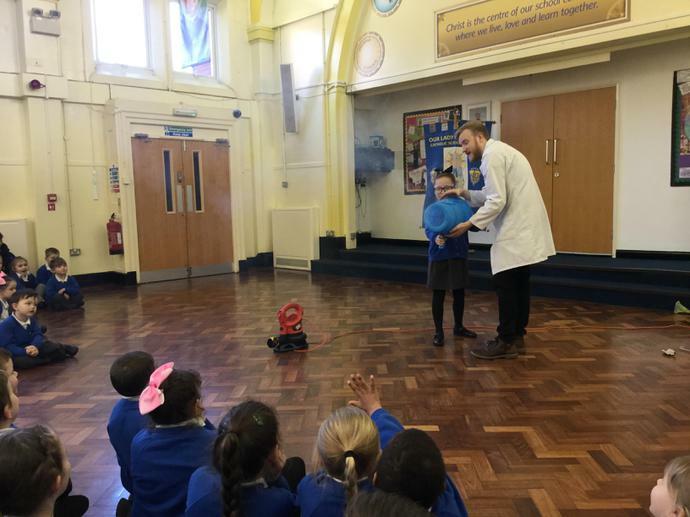 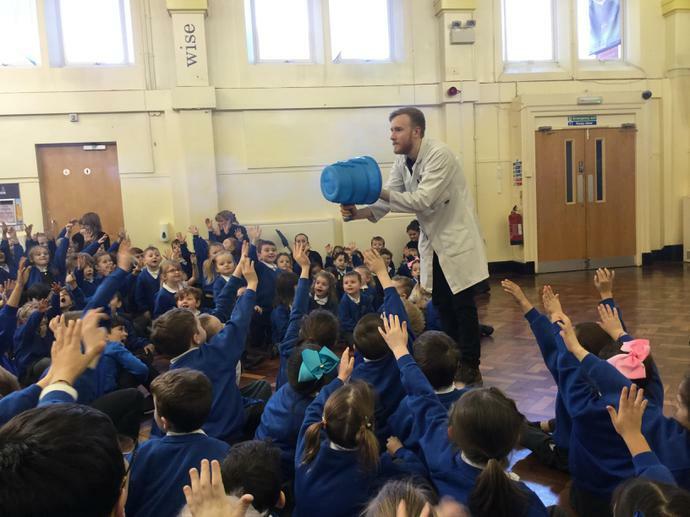 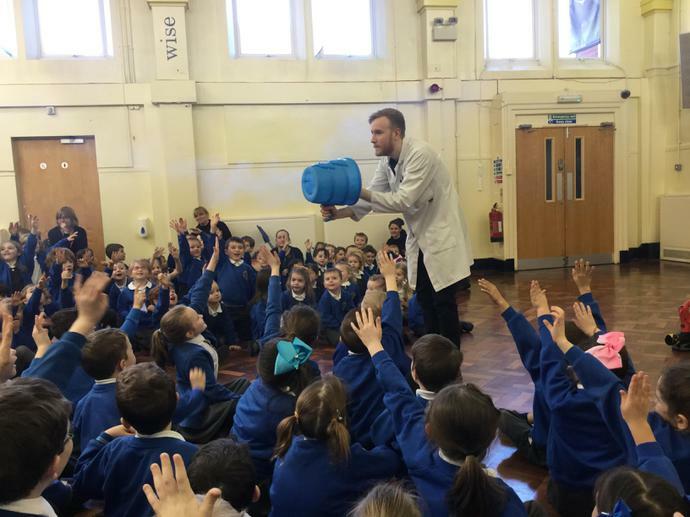 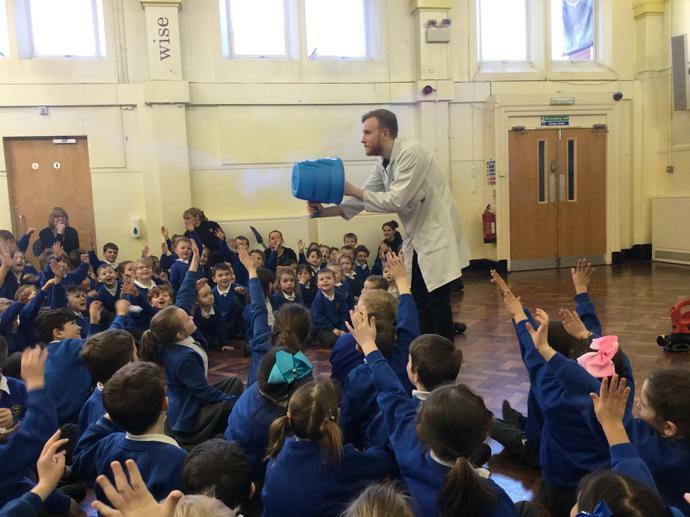 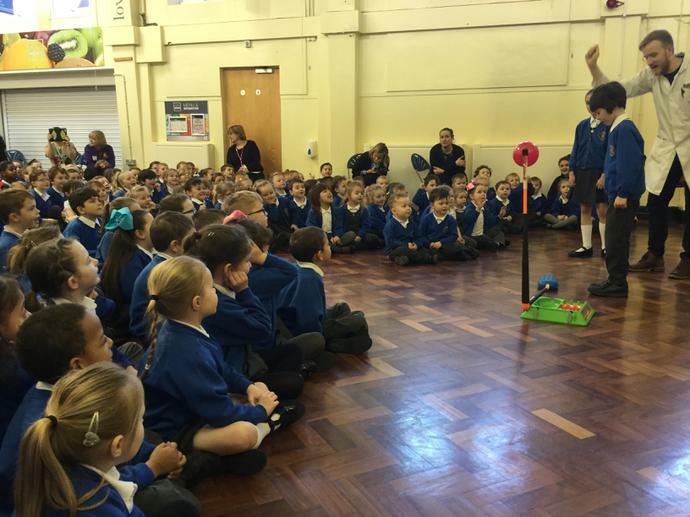 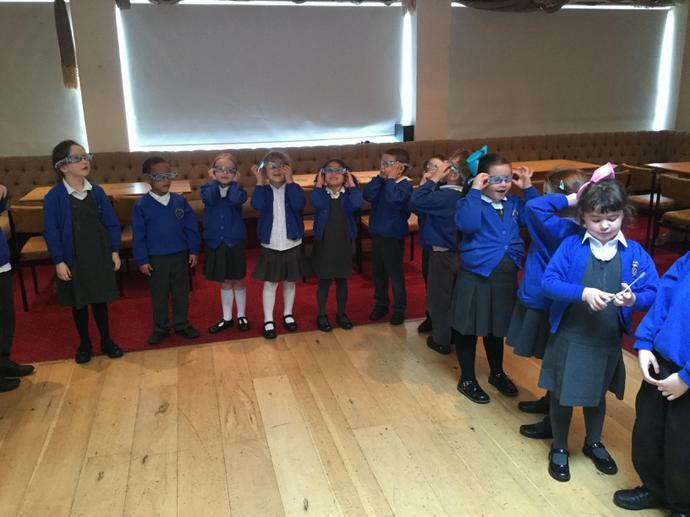 Elm are enjoying the Fizz Pop Science Assembly. 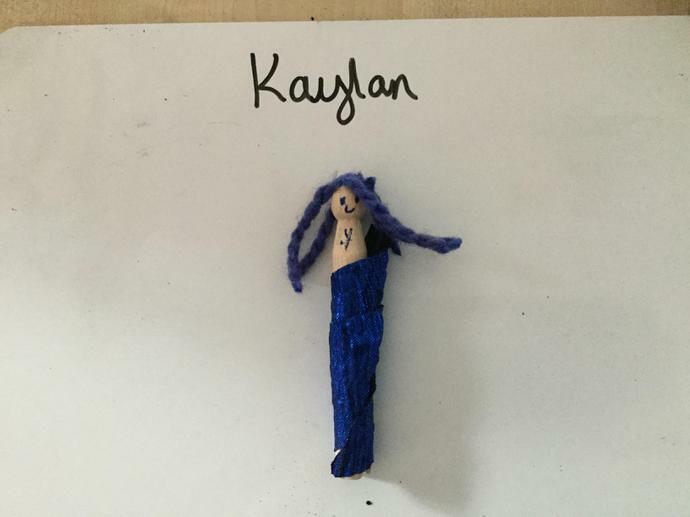 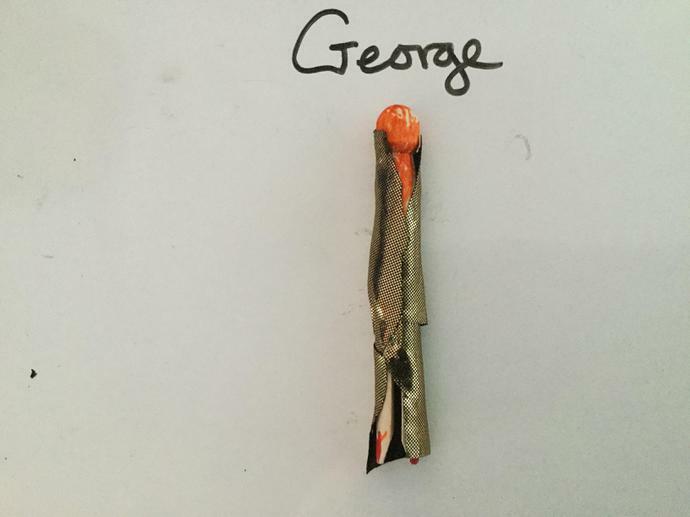 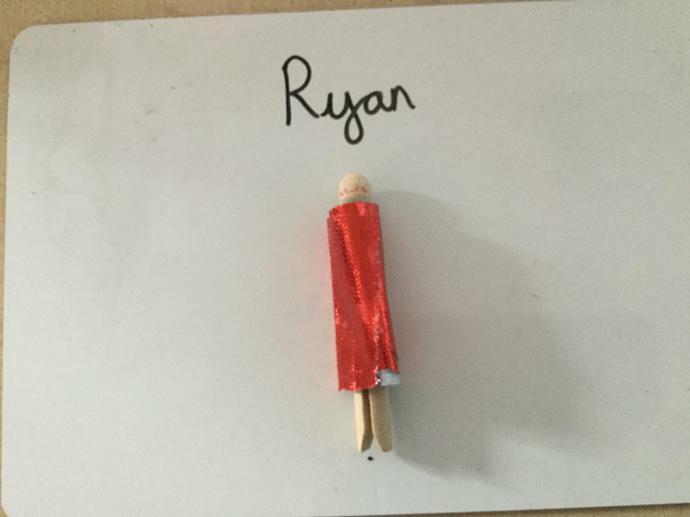 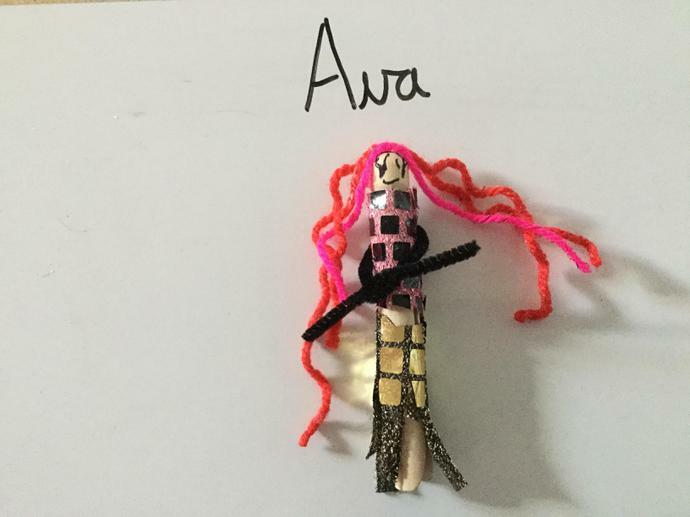 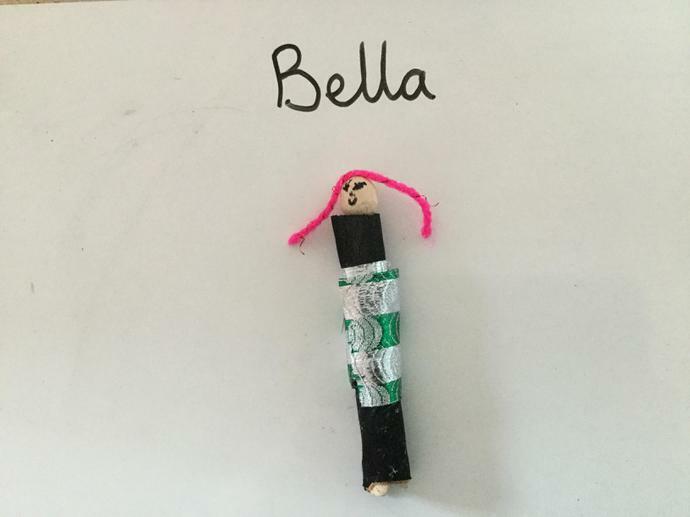 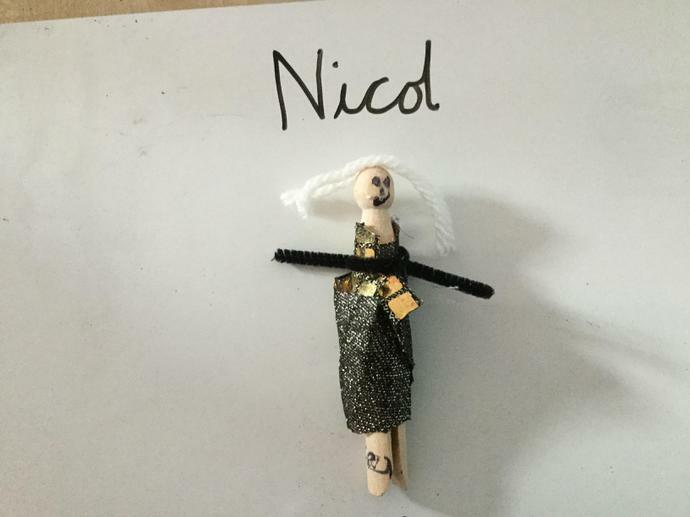 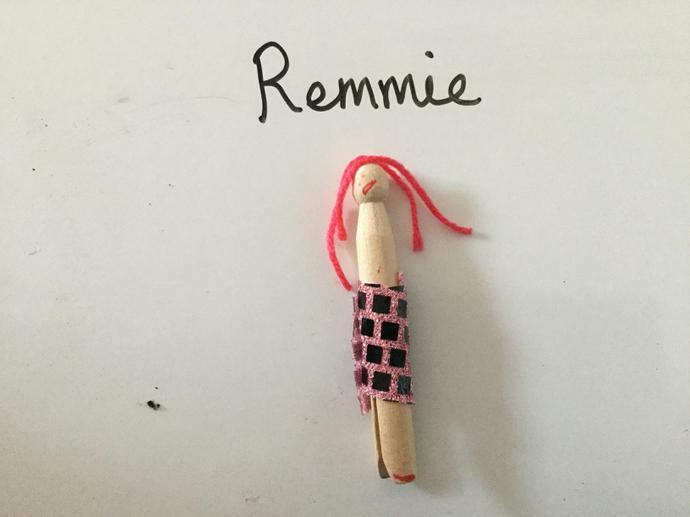 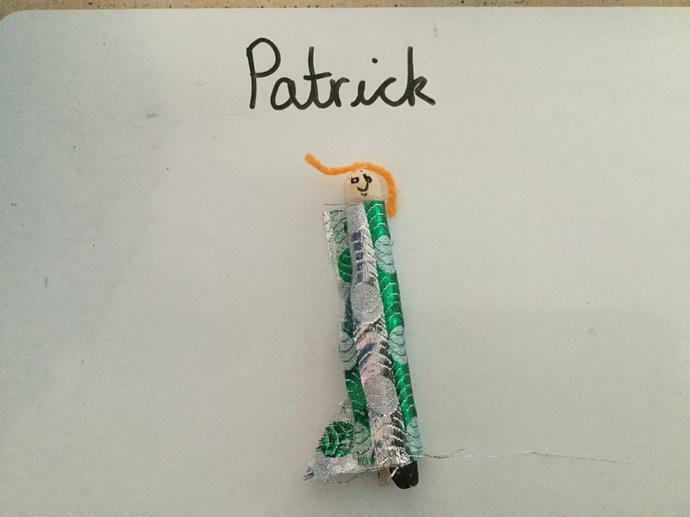 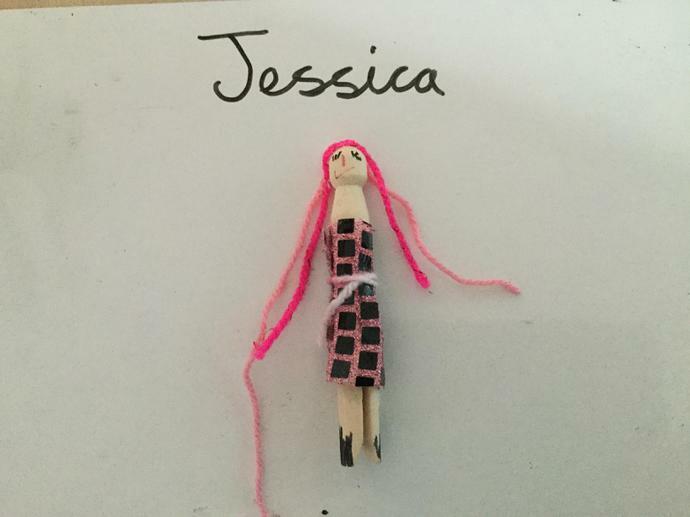 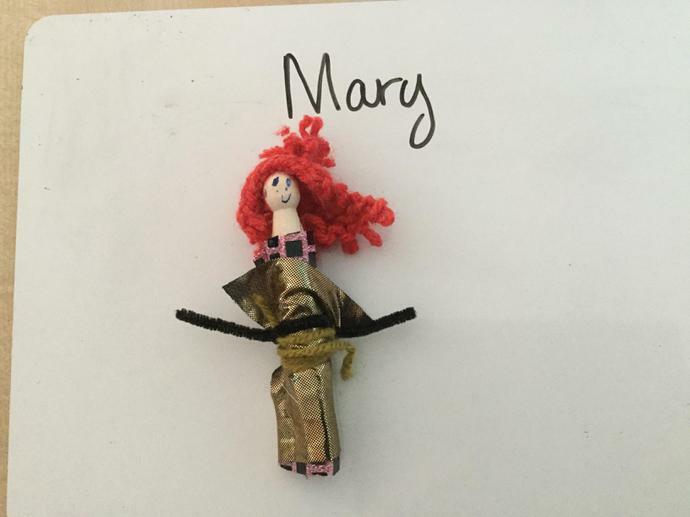 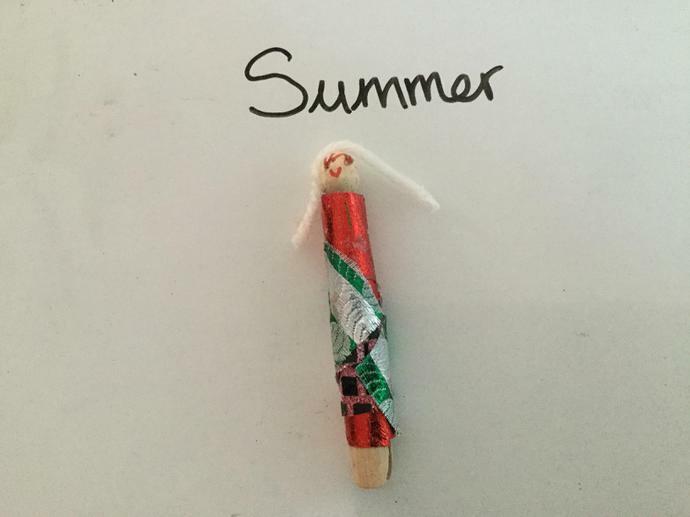 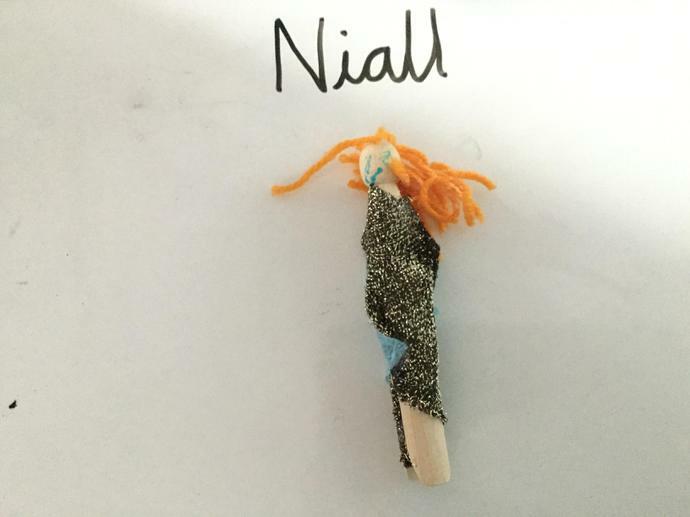 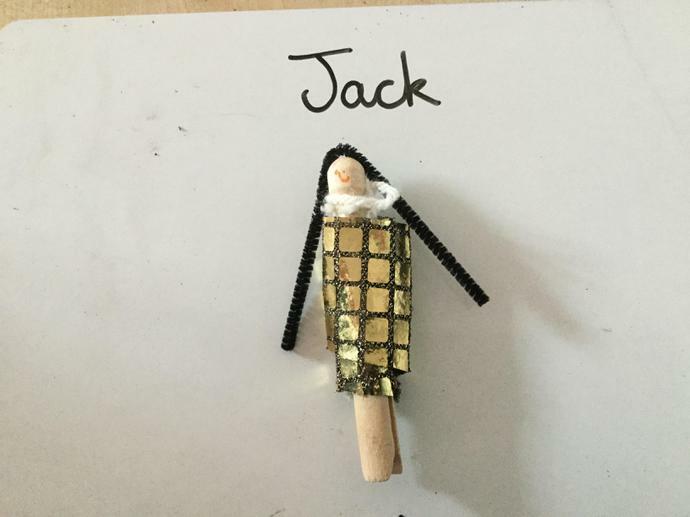 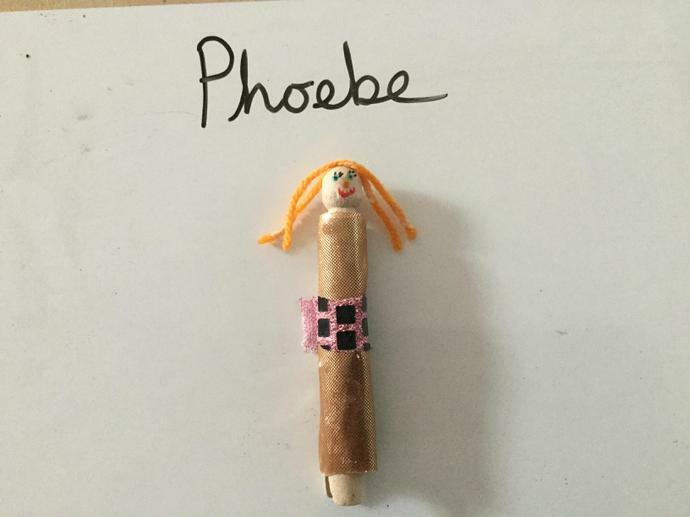 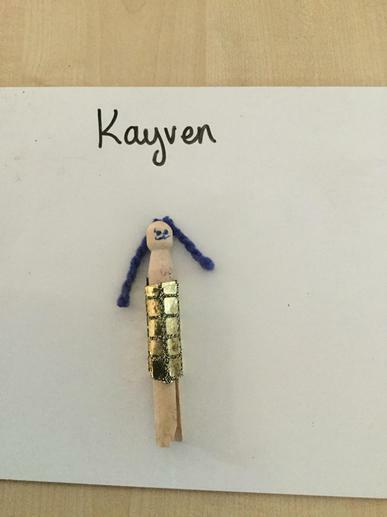 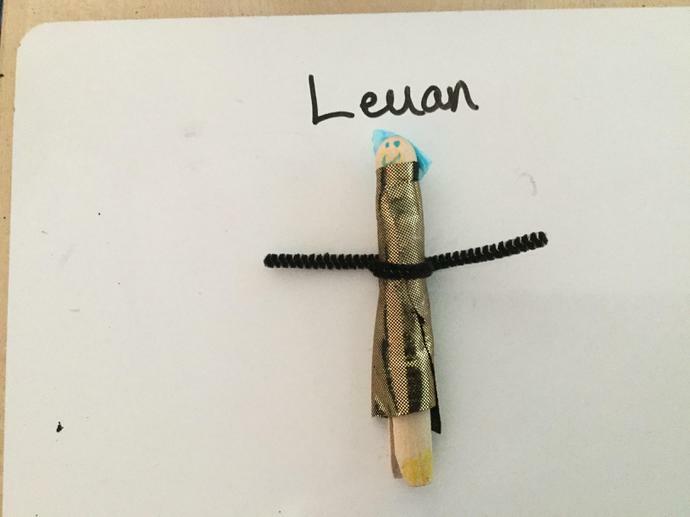 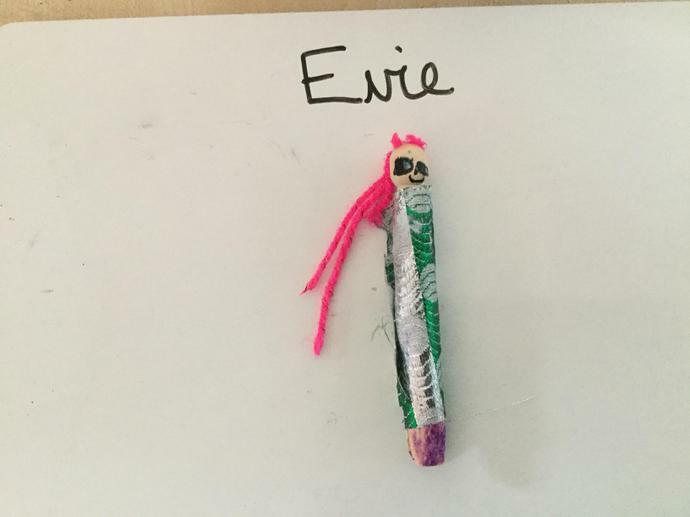 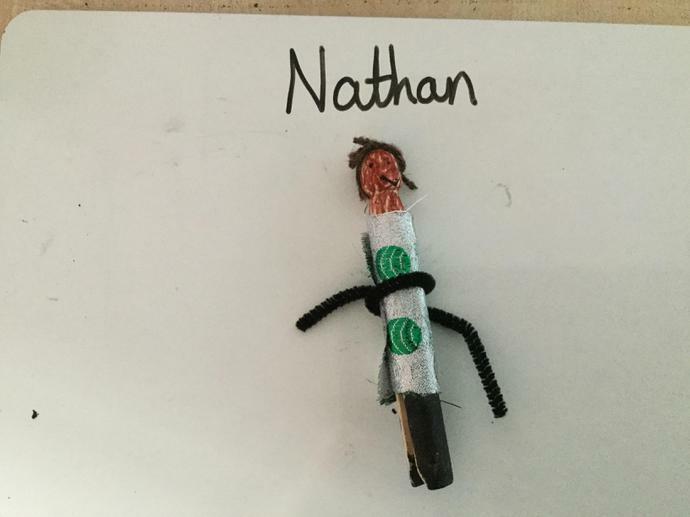 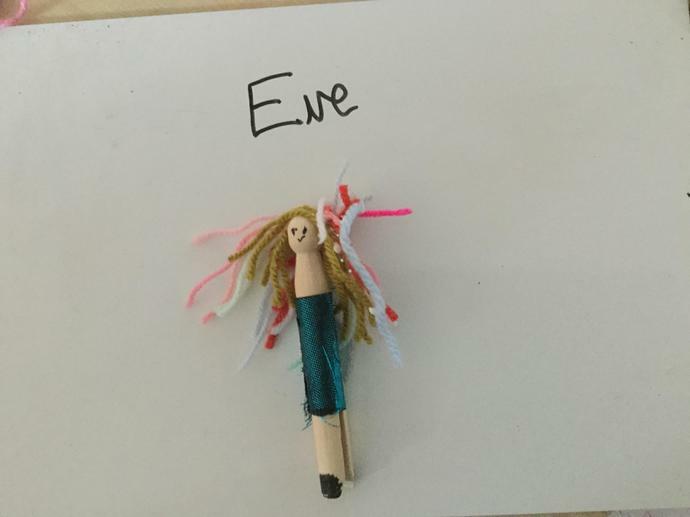 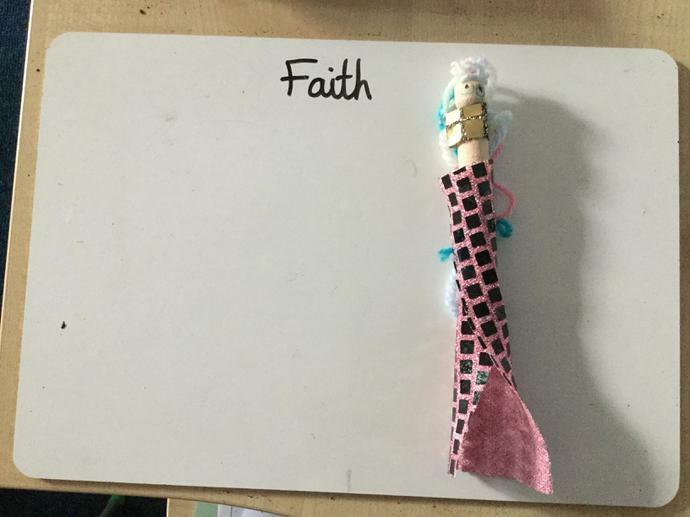 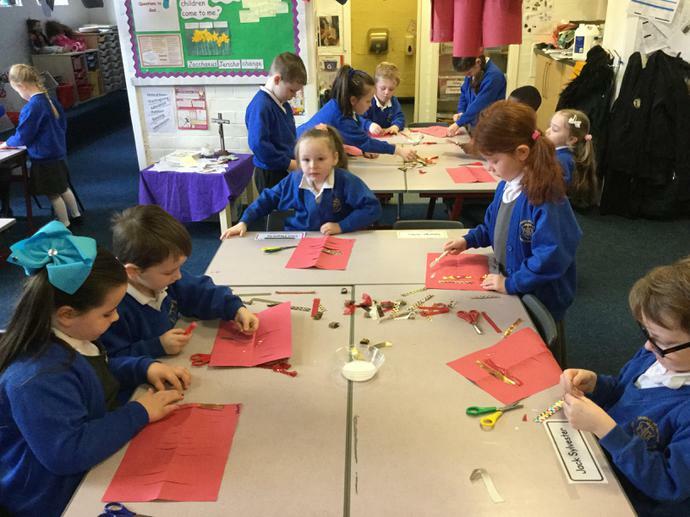 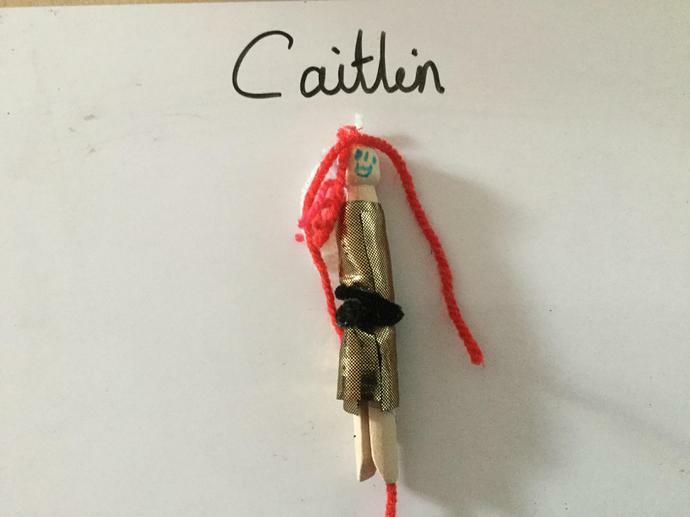 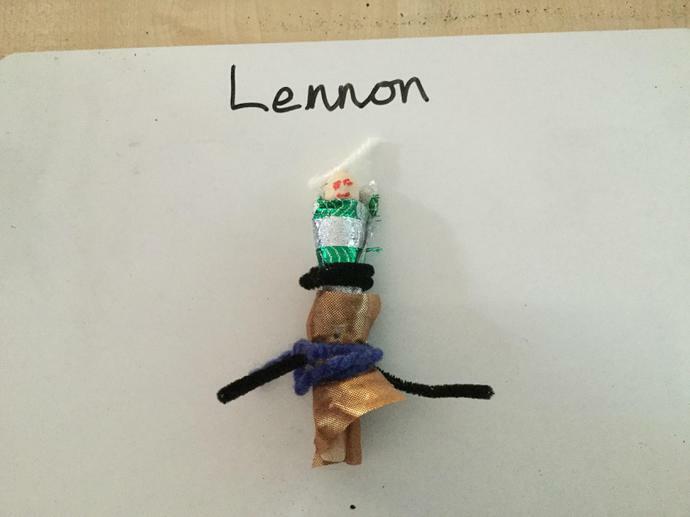 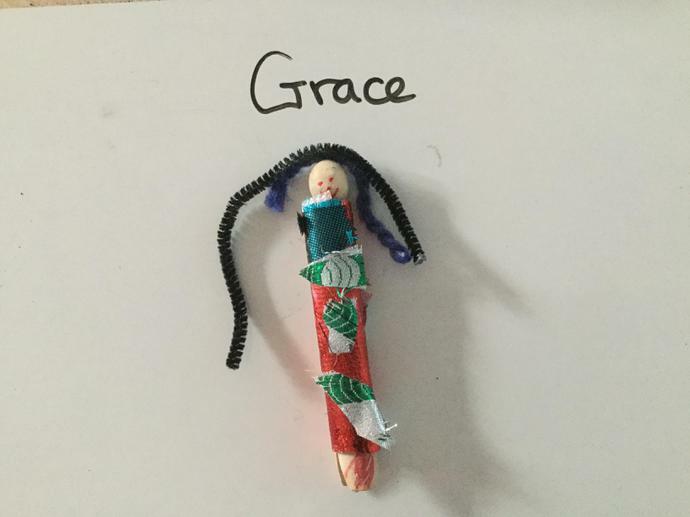 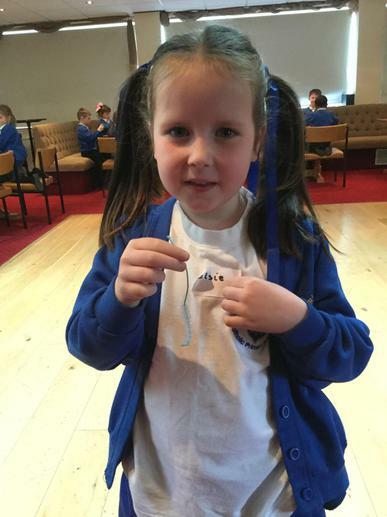 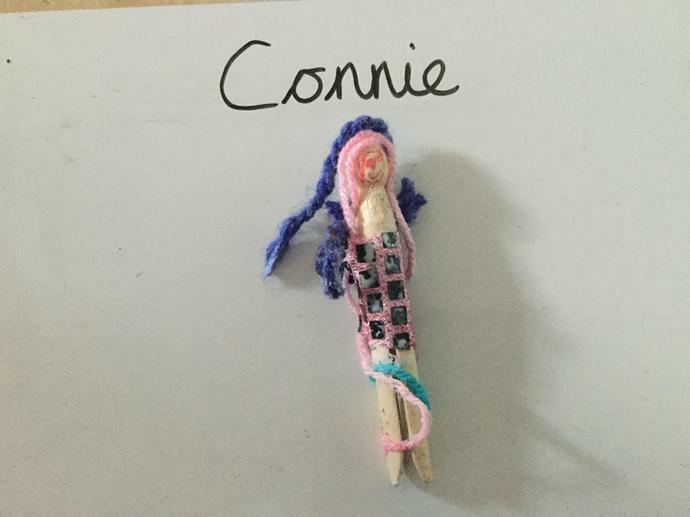 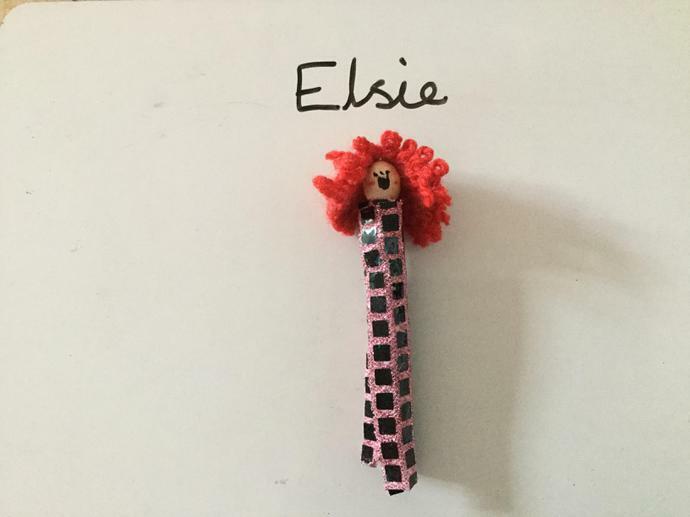 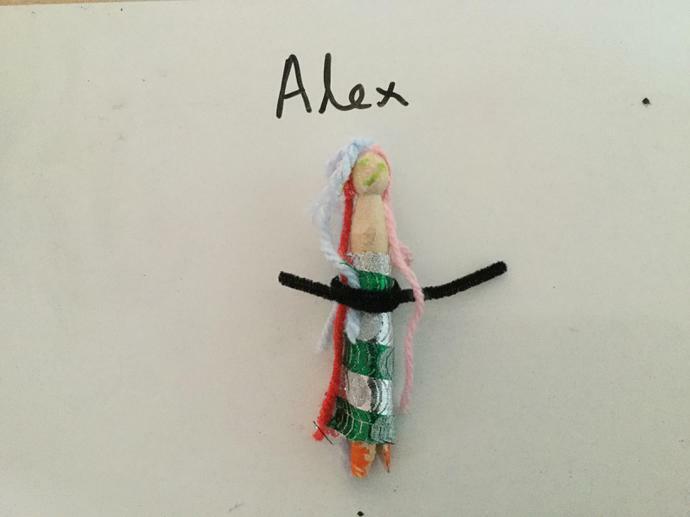 We made peg dolls for our mothers for Mother’s Day. 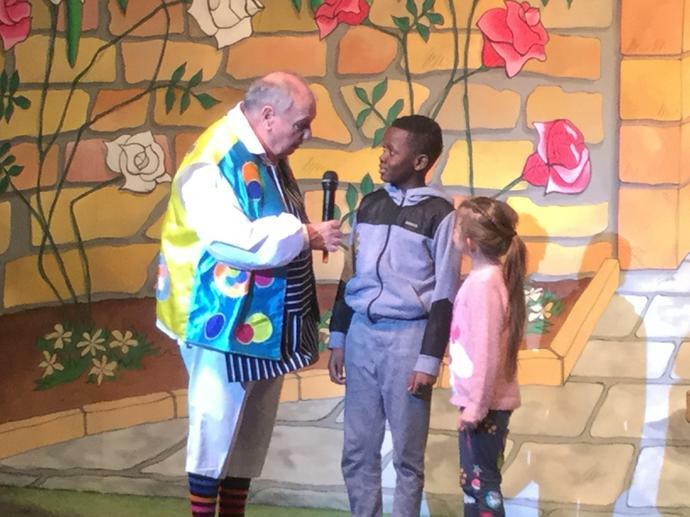 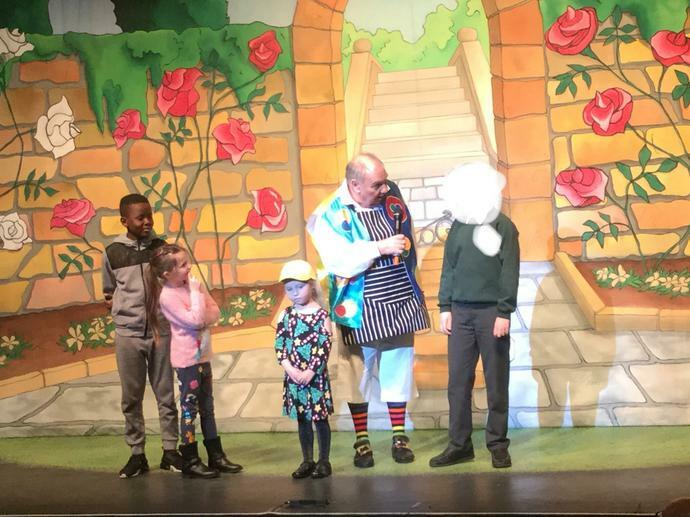 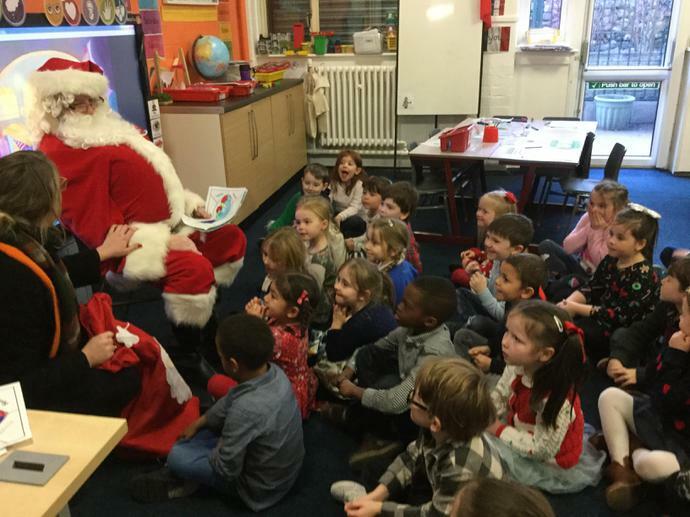 Mr Fallon read some interesting stories. 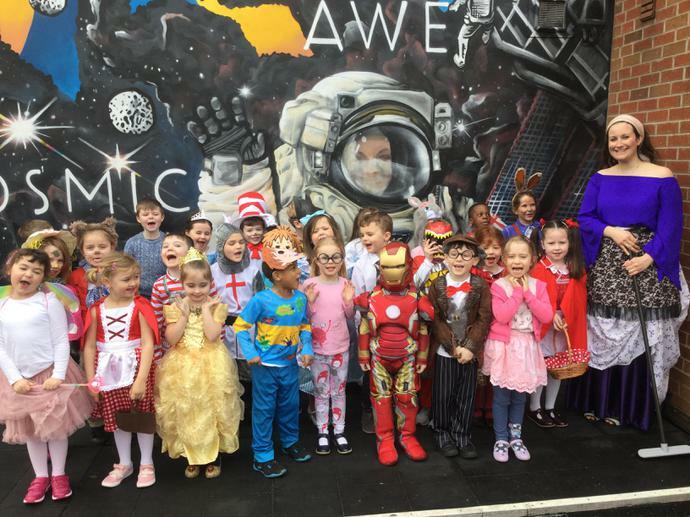 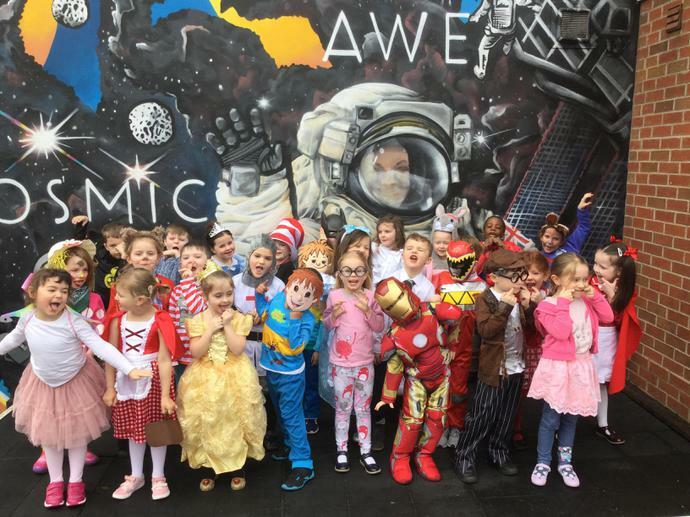 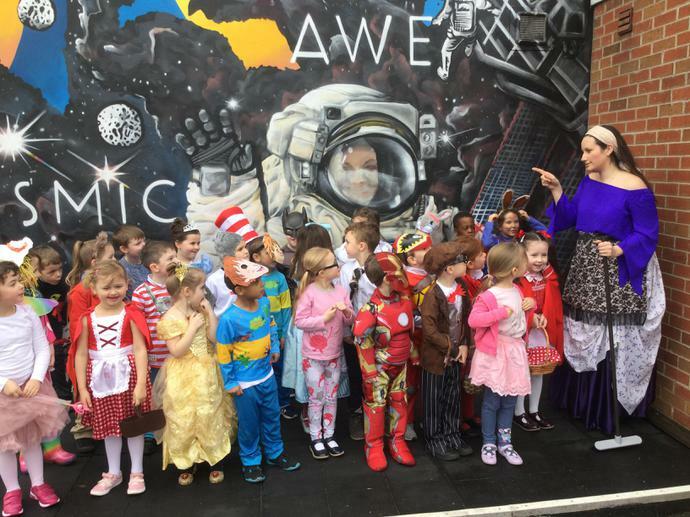 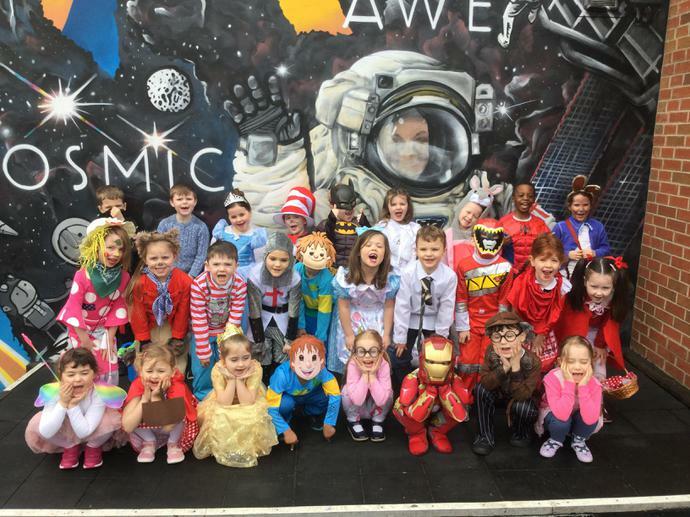 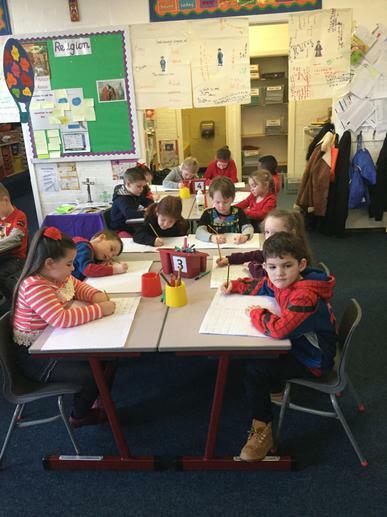 Elm are dressed for a day of books and fun. 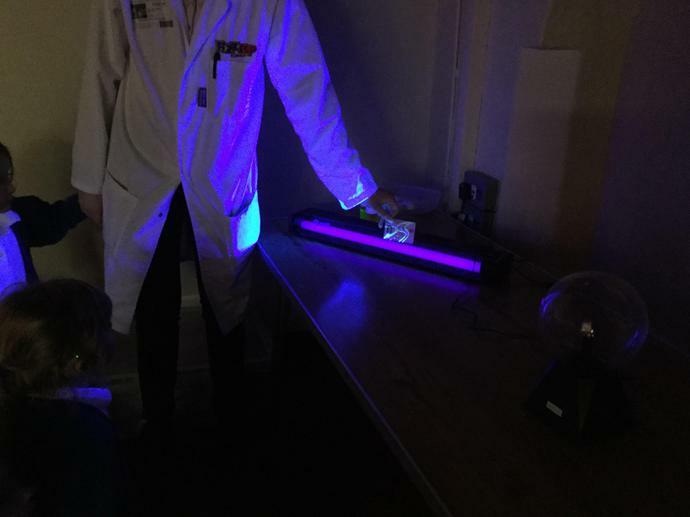 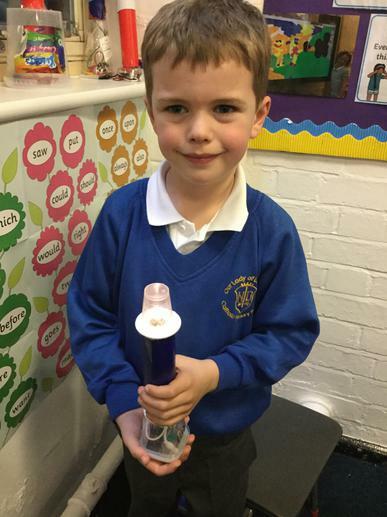 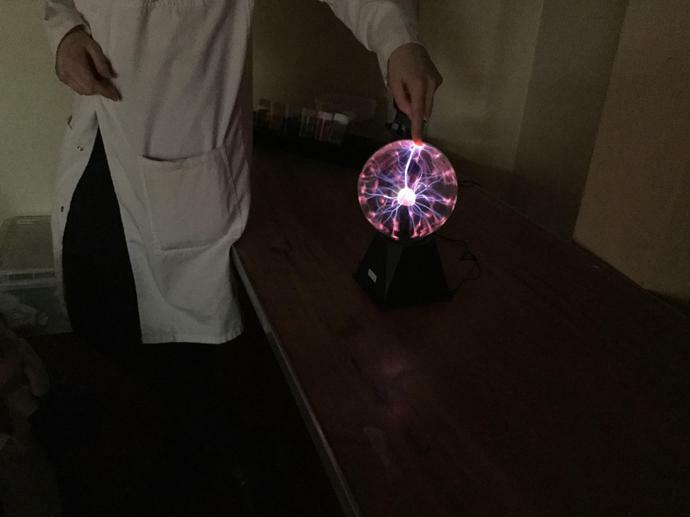 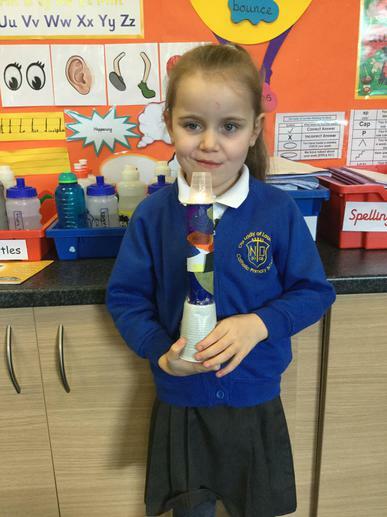 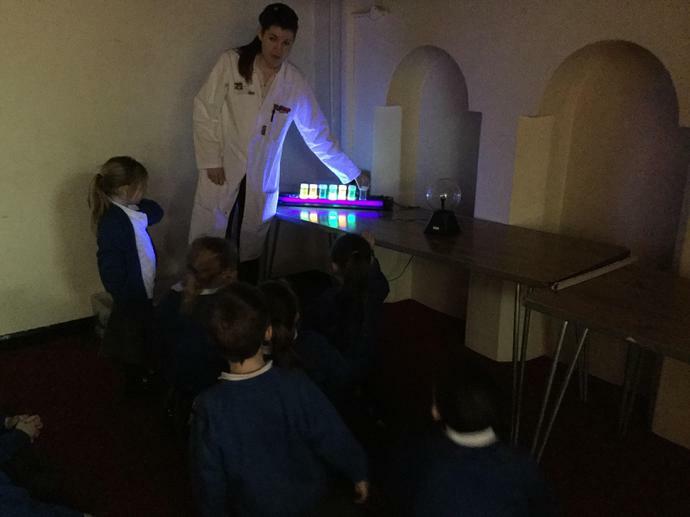 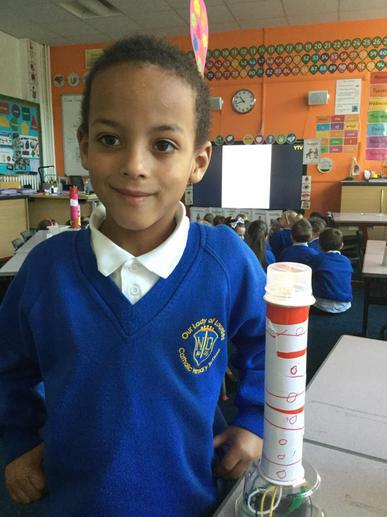 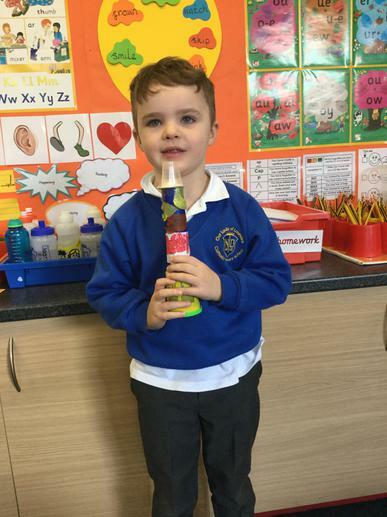 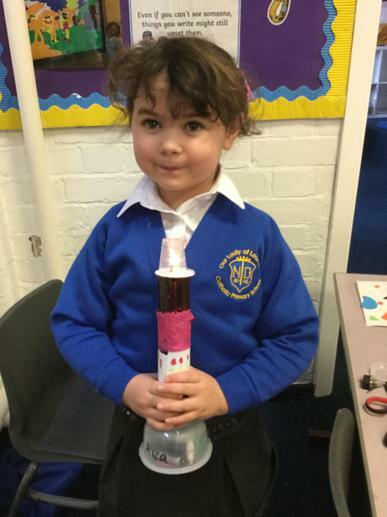 Well done to the pupils who completed their half-term science project. 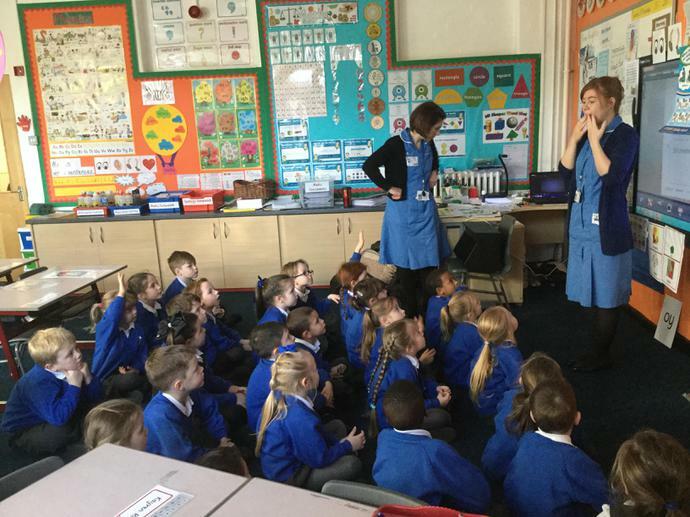 Mrs Anthony joined Elm in preparation for their class assembly tomorrow. 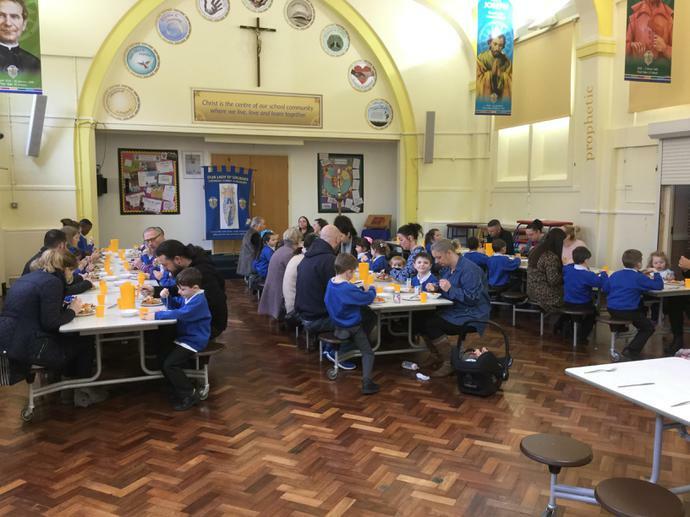 Elm parents, please join us in the school hall at 9am on Friday 9th February. 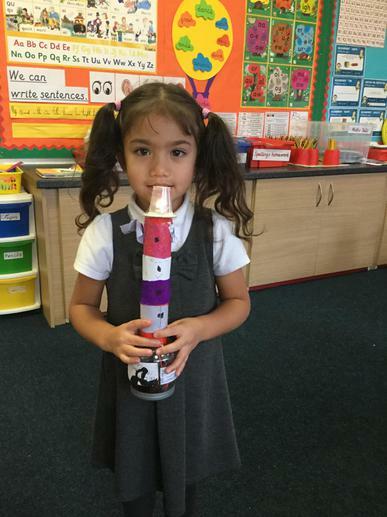 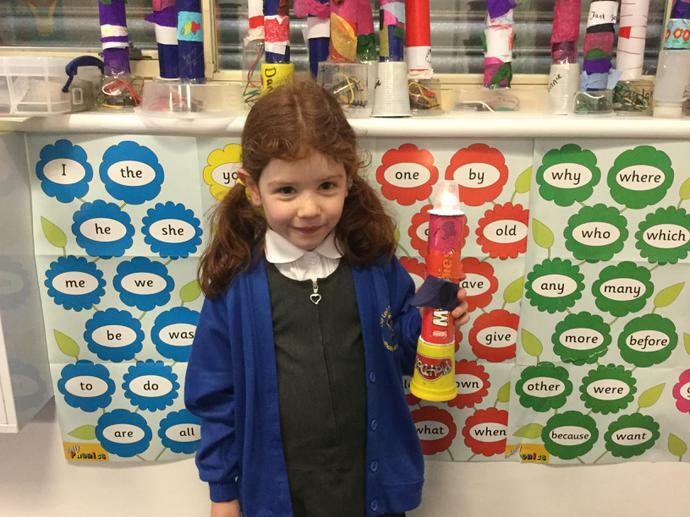 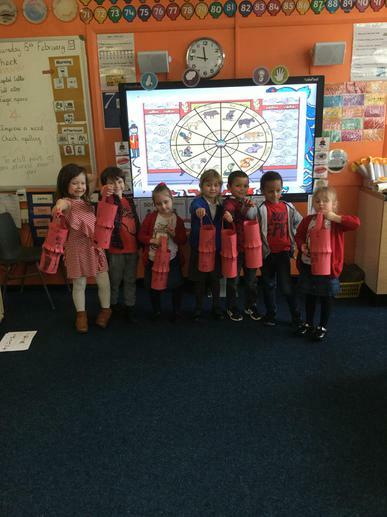 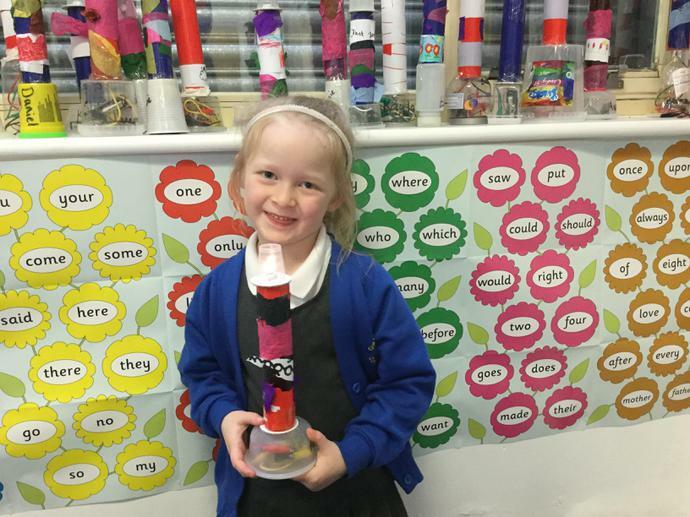 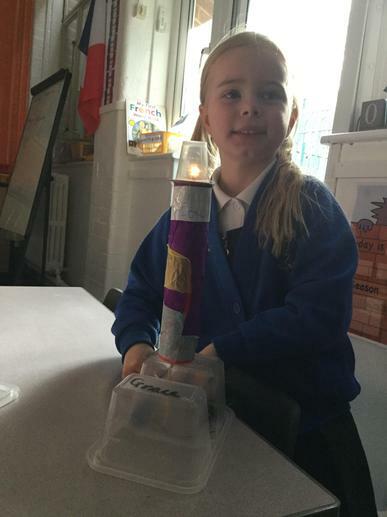 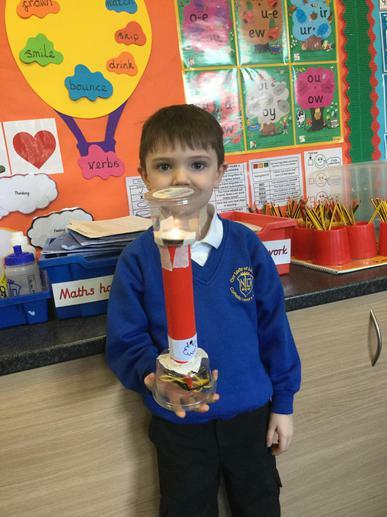 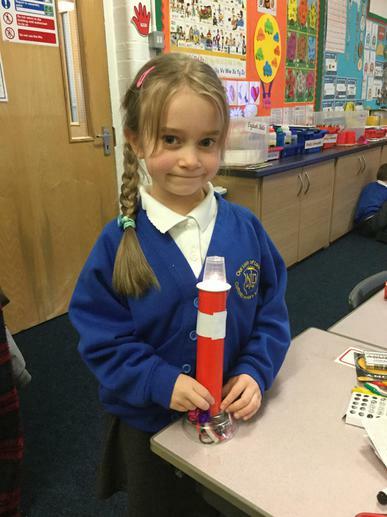 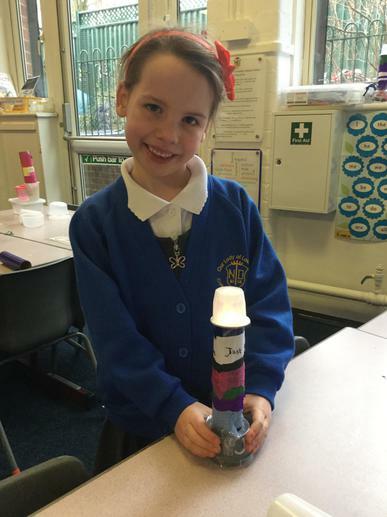 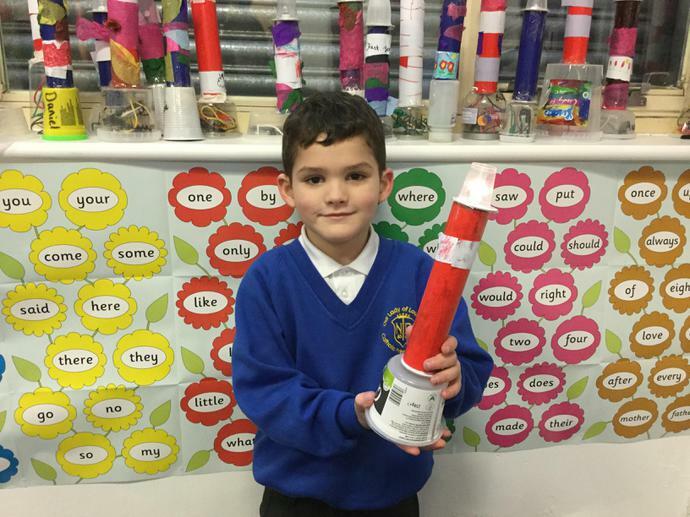 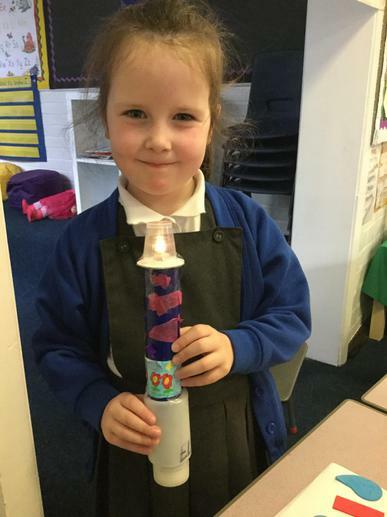 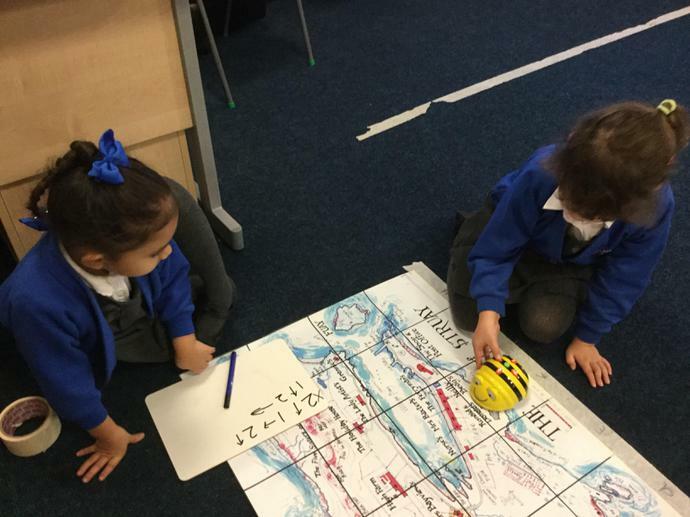 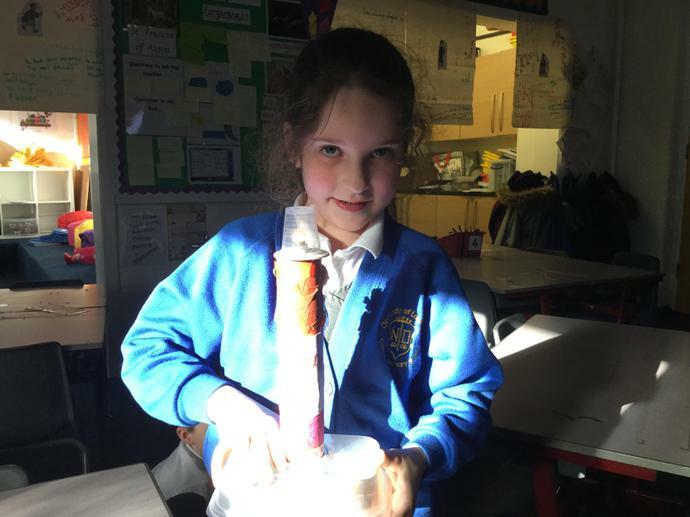 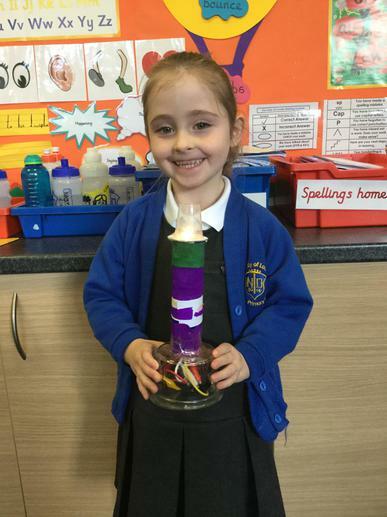 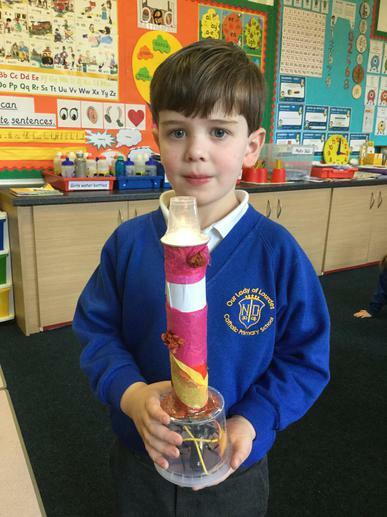 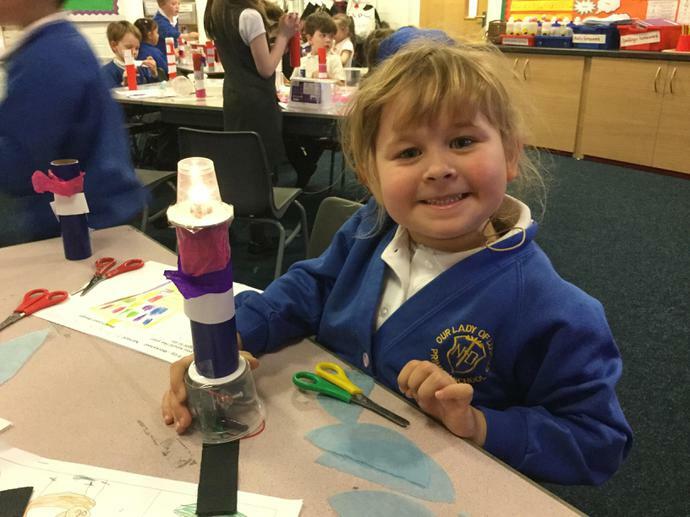 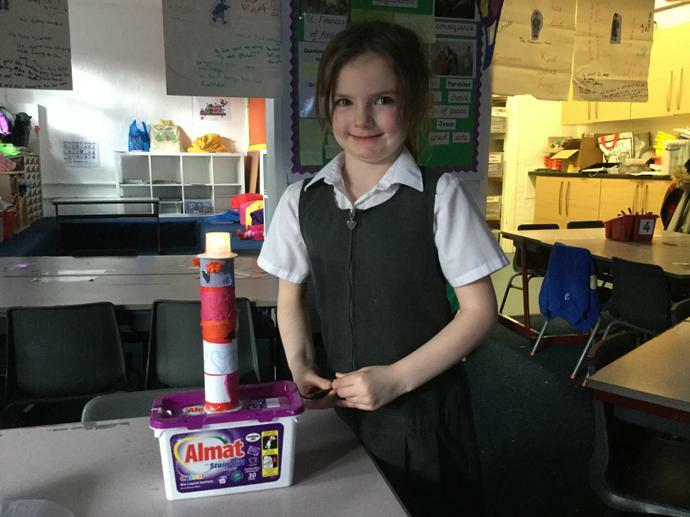 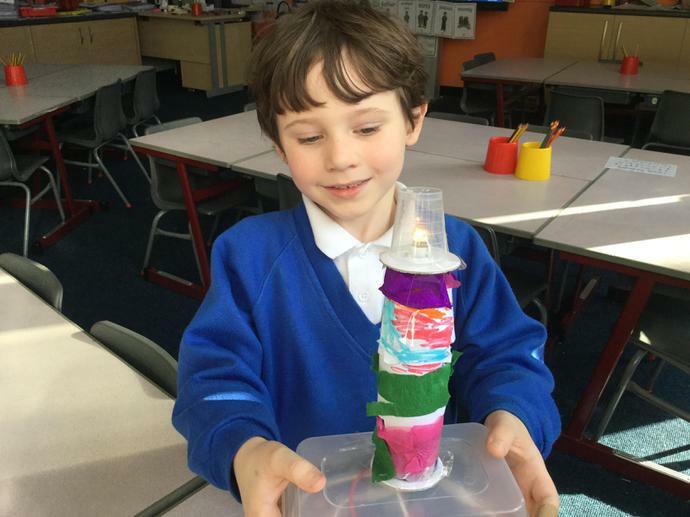 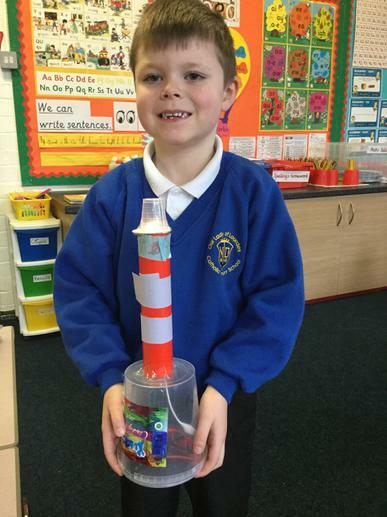 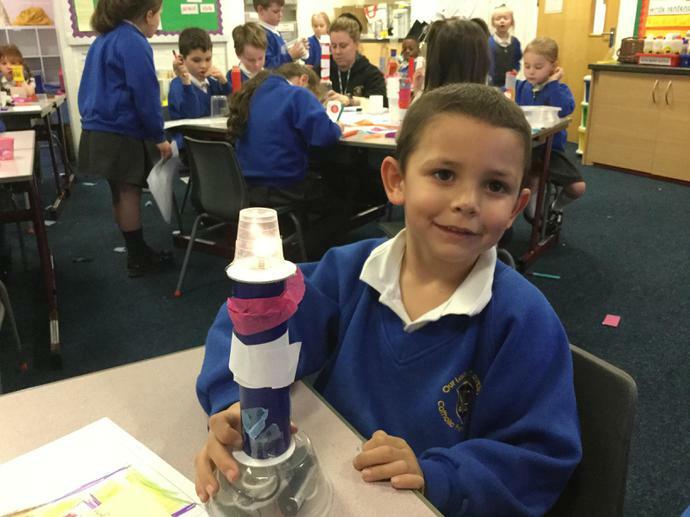 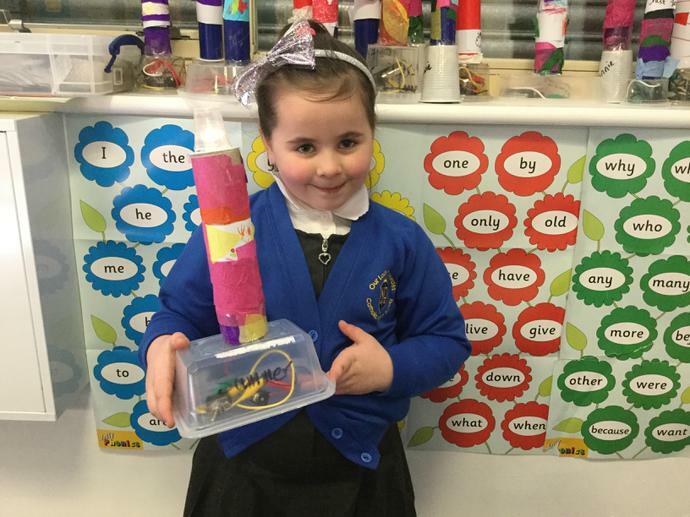 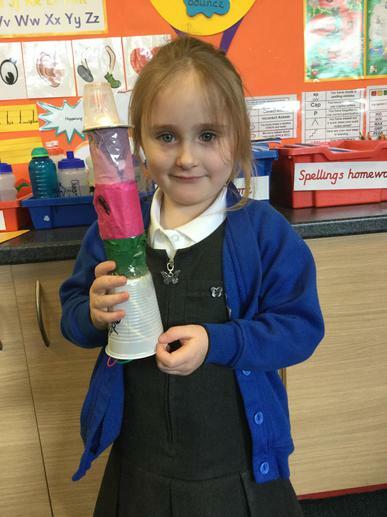 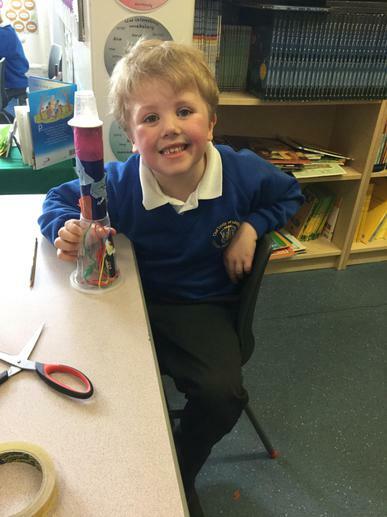 Wow, look at our working lighthouses. 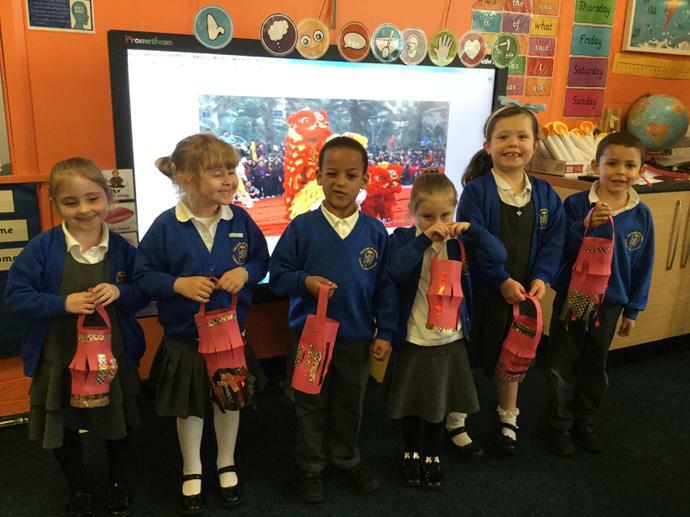 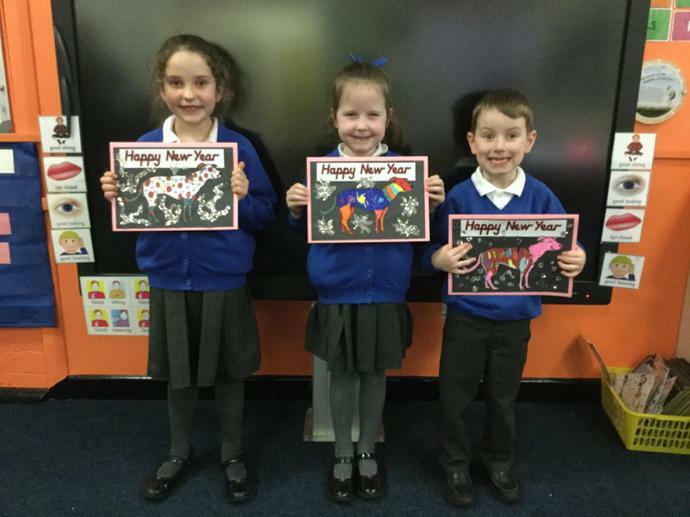 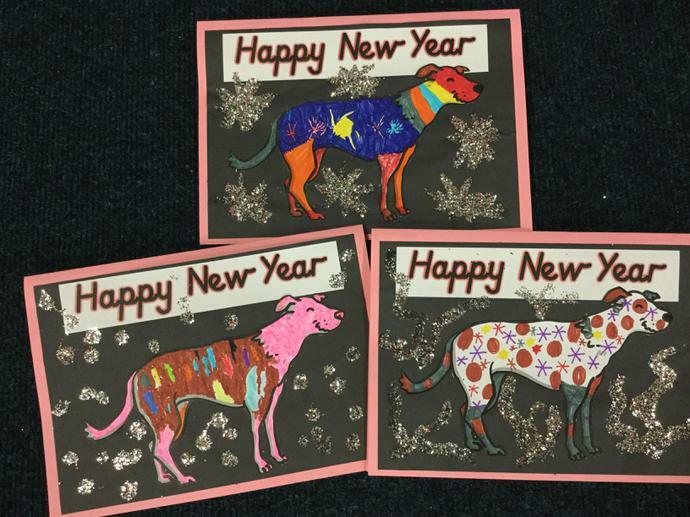 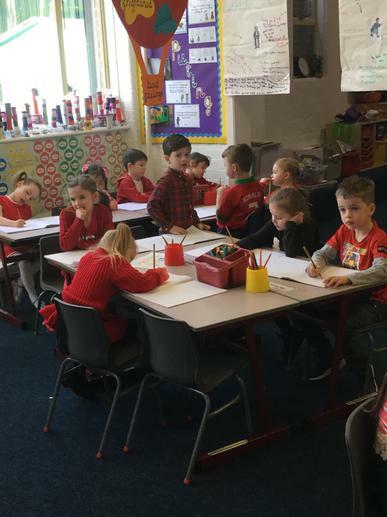 Congratulations to the winners of our ‘Colour the Dog’ competition for the Chinese New Year. 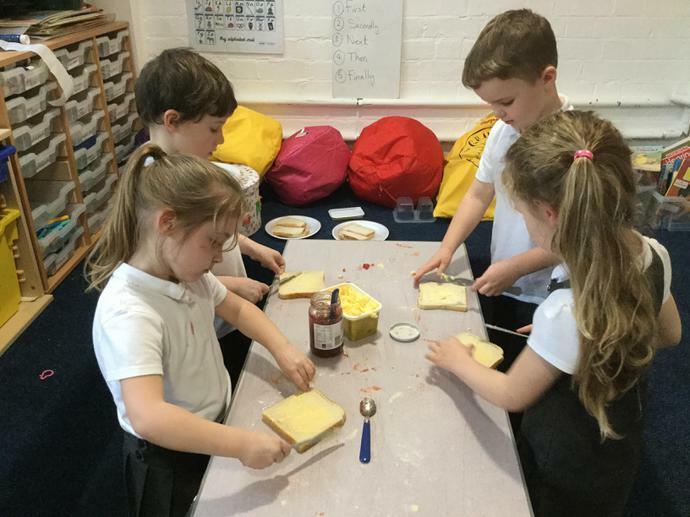 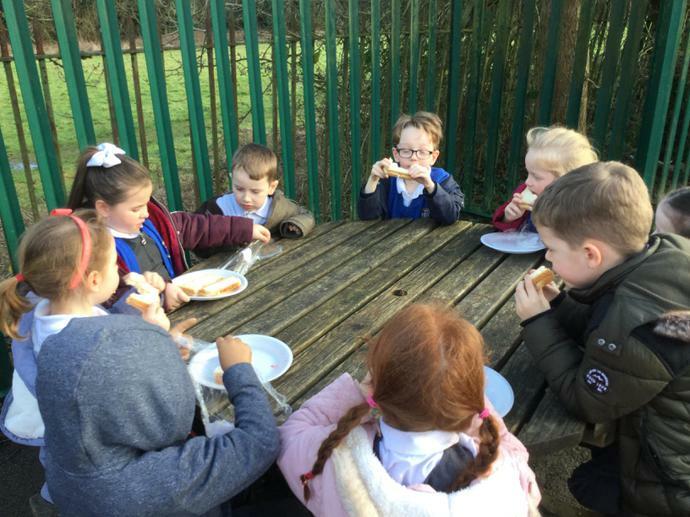 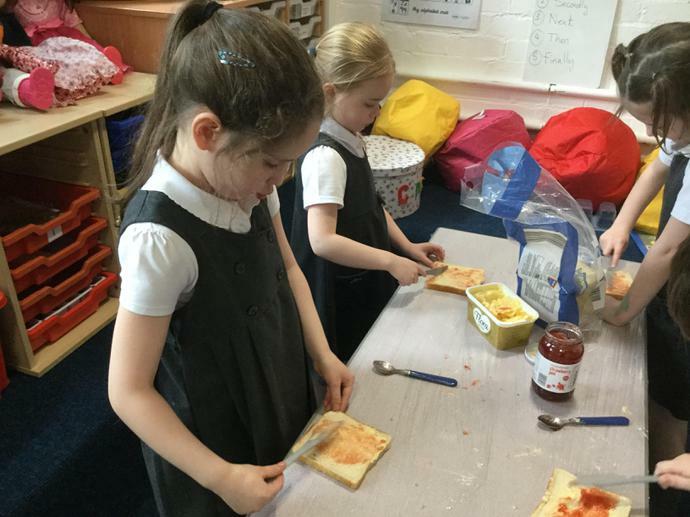 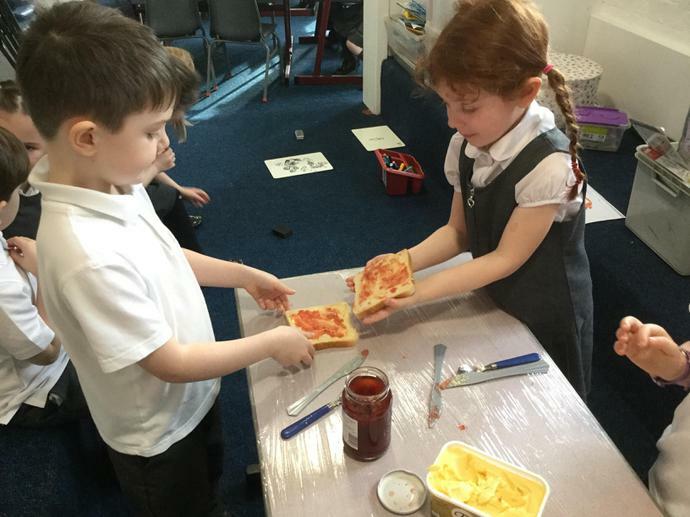 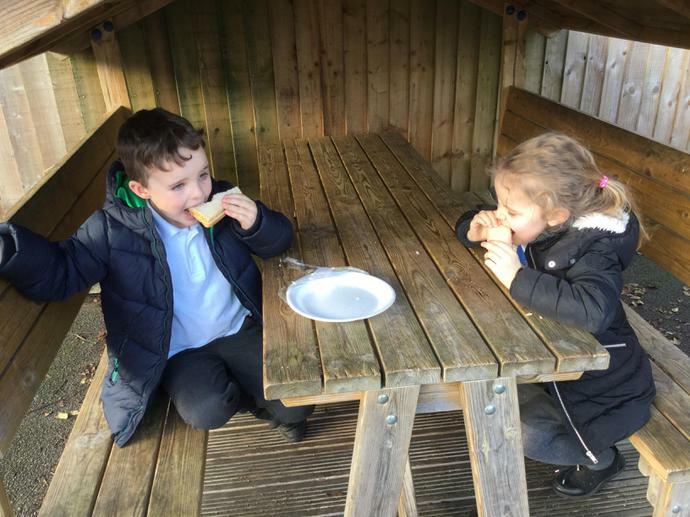 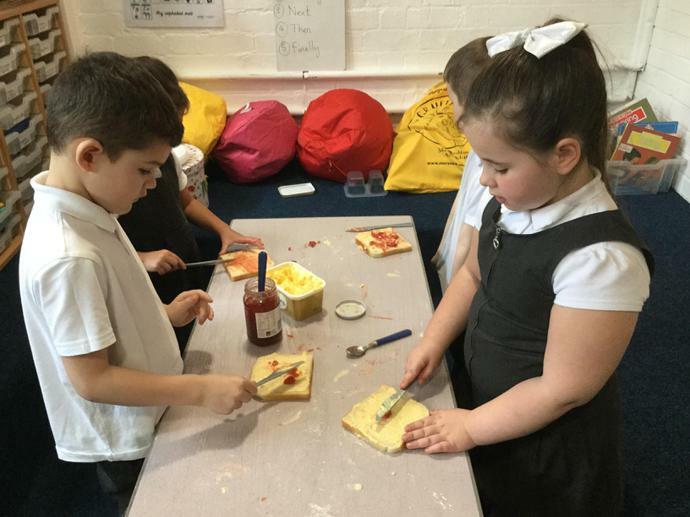 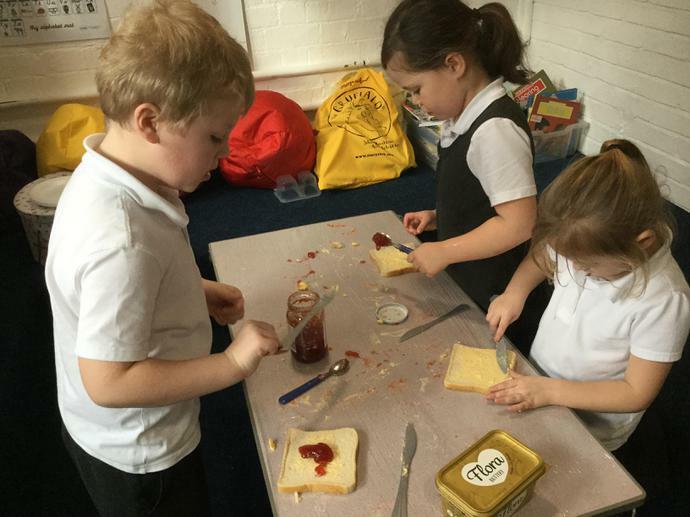 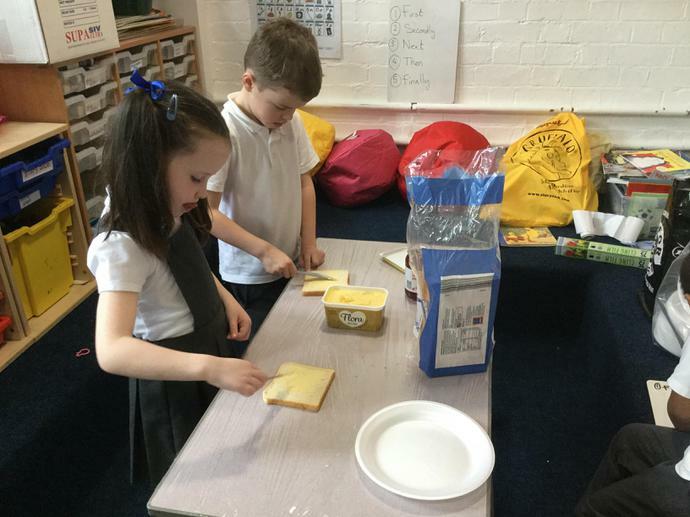 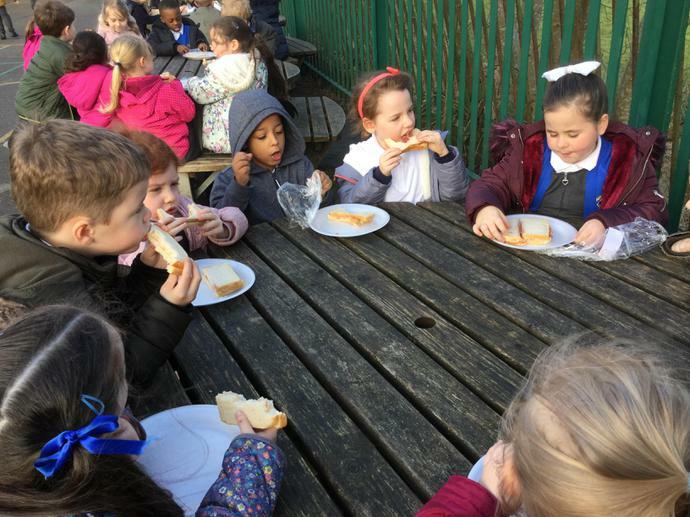 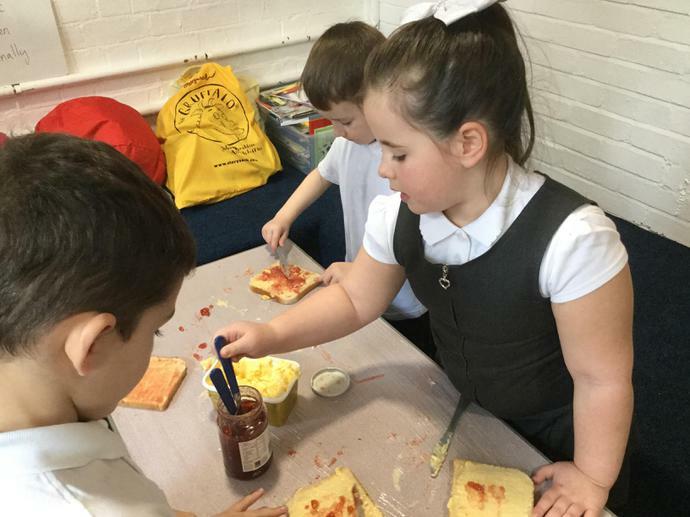 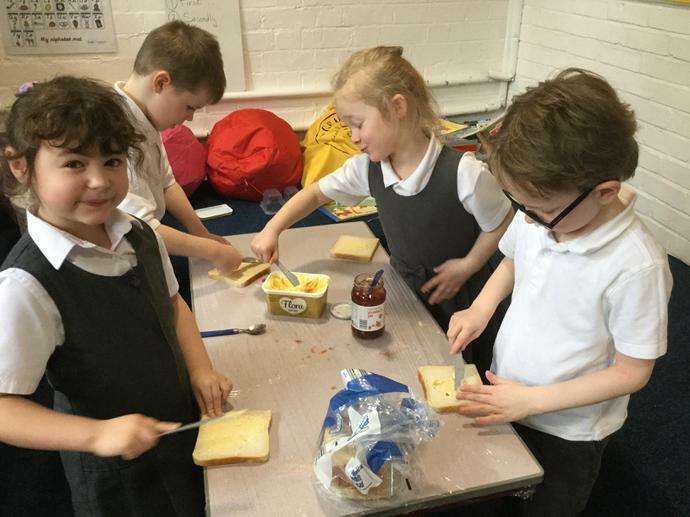 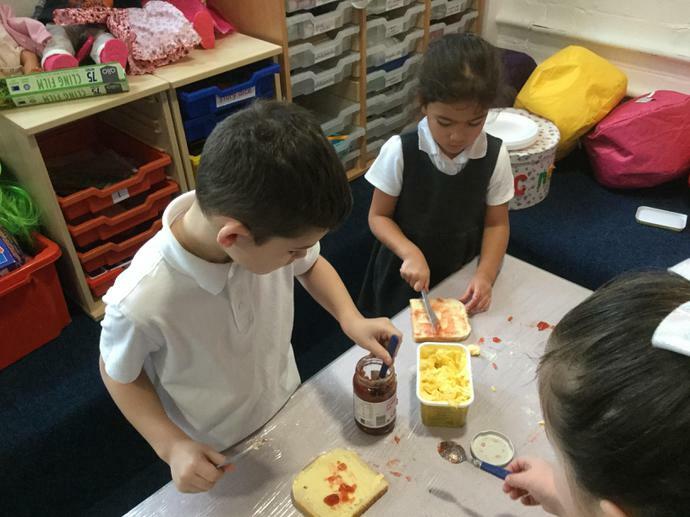 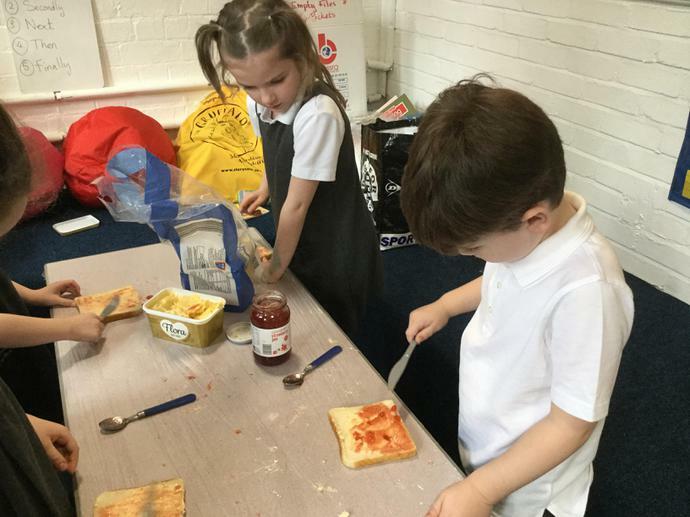 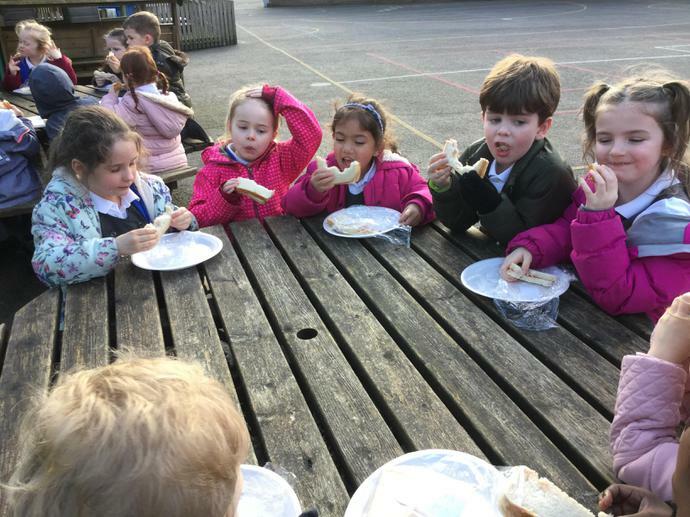 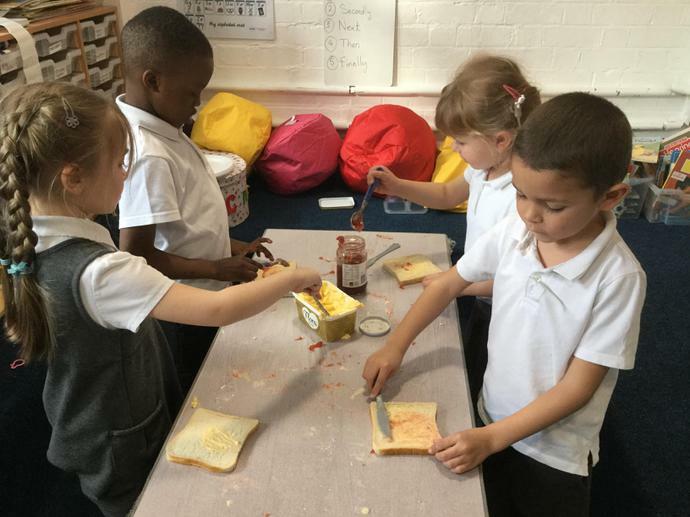 Today we made jam sandwiches. 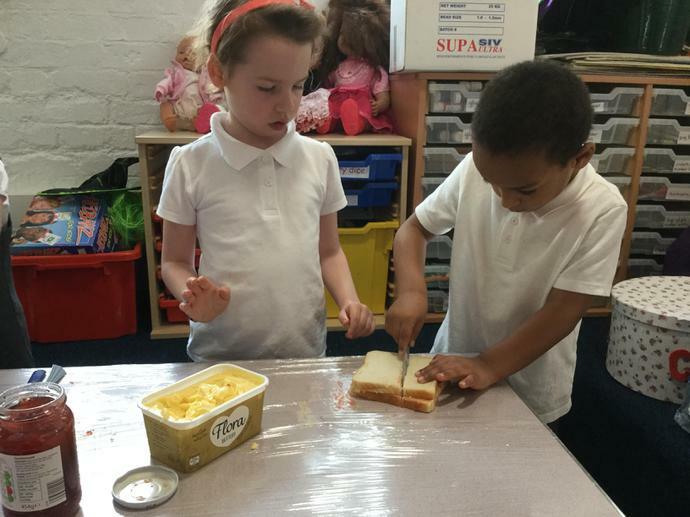 Ask your child to give you step by step instructions for making the sandwich. 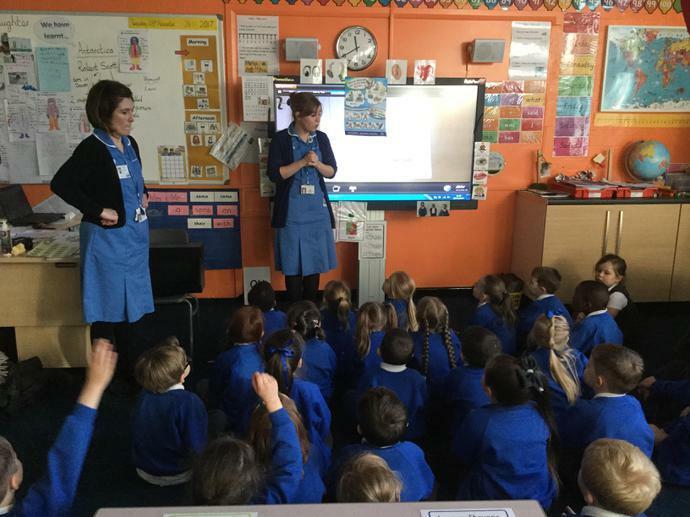 I would love to see some written instructions in their blue books. 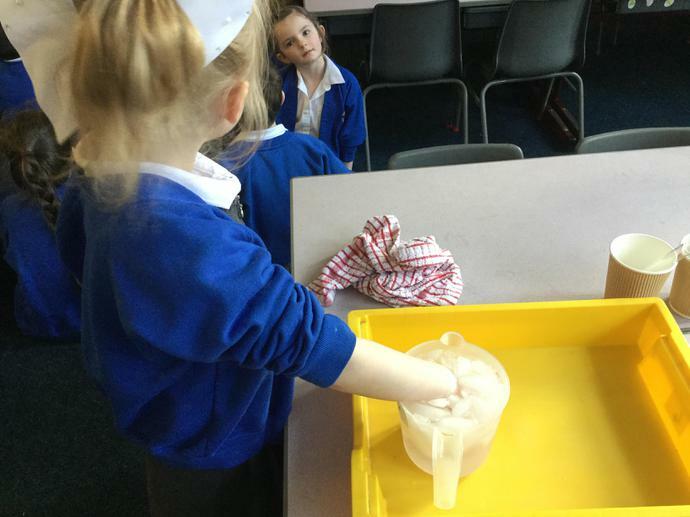 We are investigating conditions for healthy plant growth. 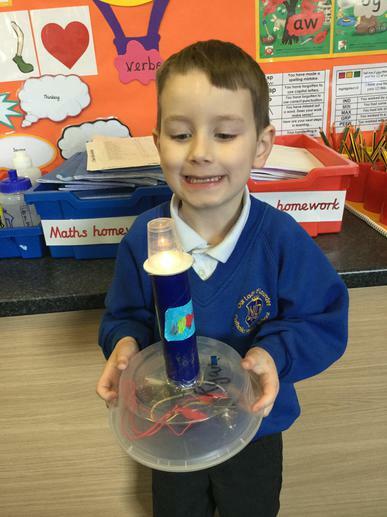 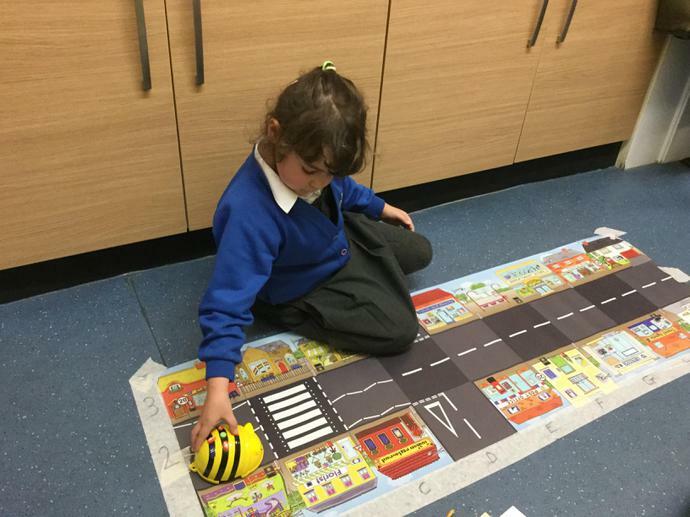 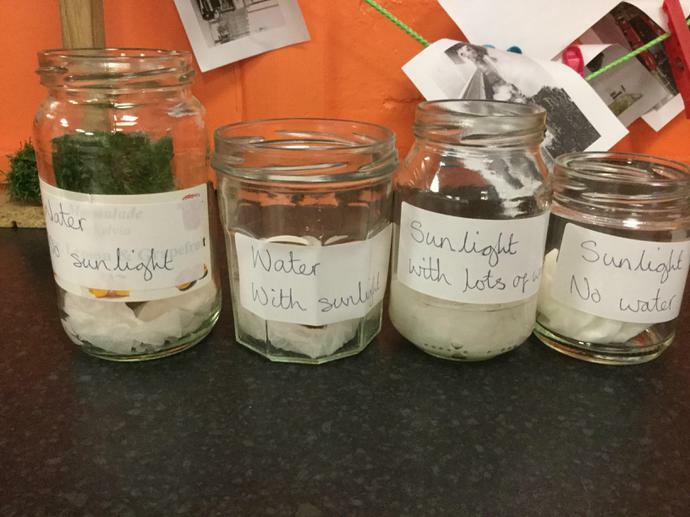 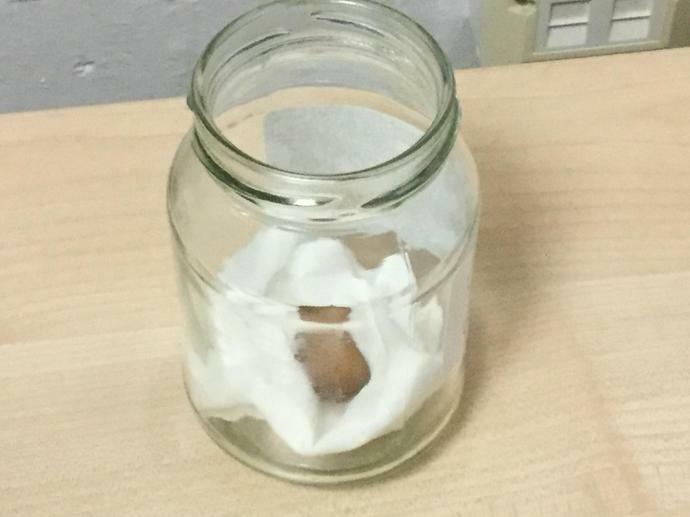 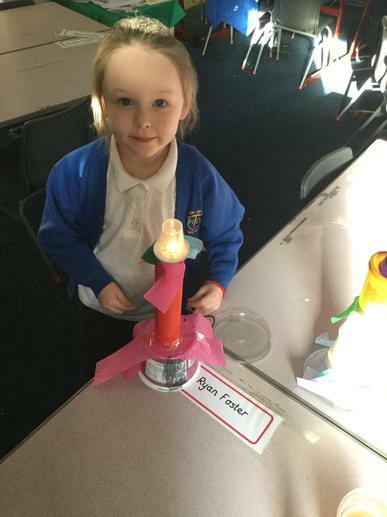 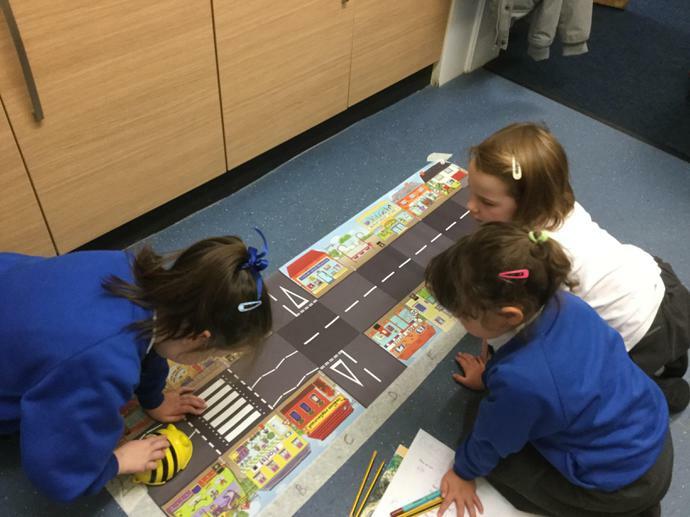 Have you started your own investigation at home? 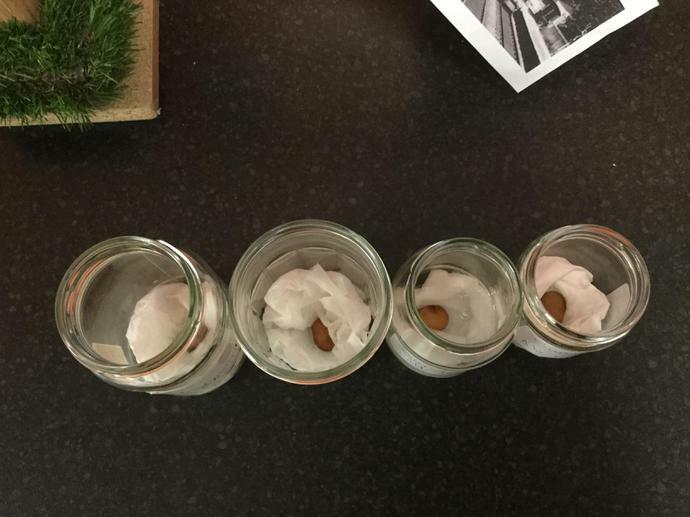 Be sure to germinate the seed you were given and record your findings. 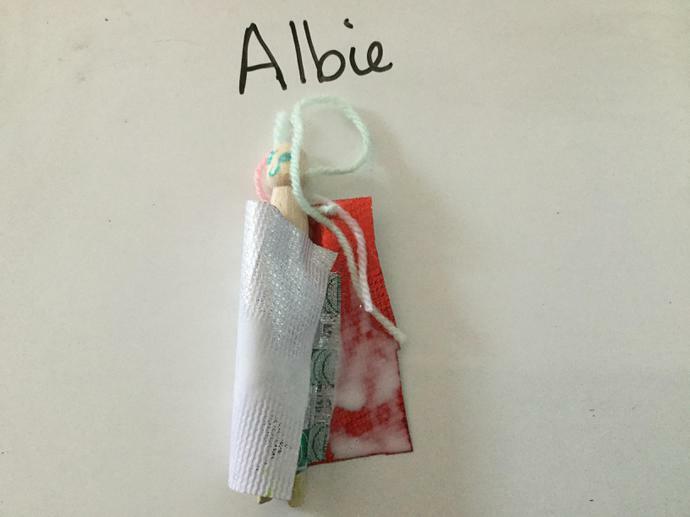 I have some seeds left over, so come ask for another if you have lost your first one. 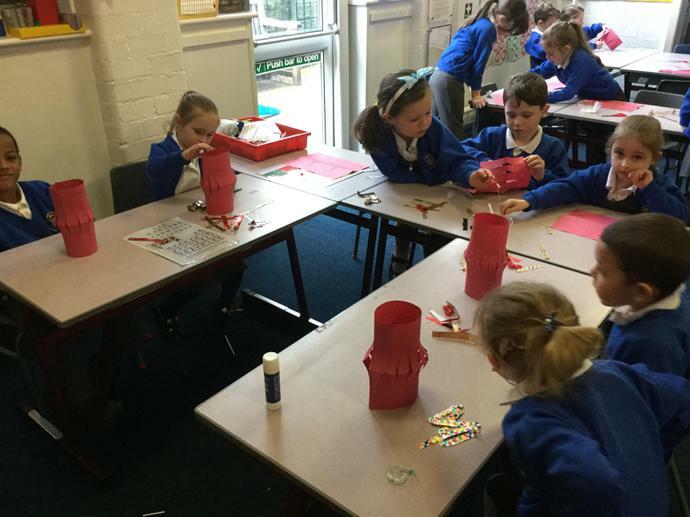 Excited children wearing festive jumpers and just made party hats, waiting to go to eat Christmas dinner. 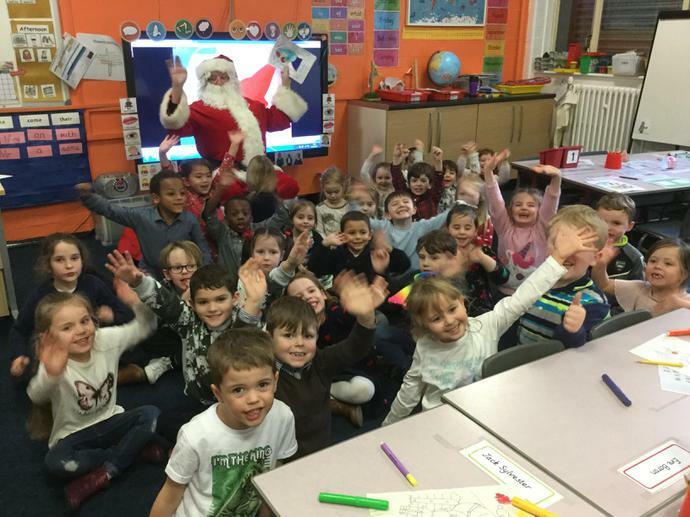 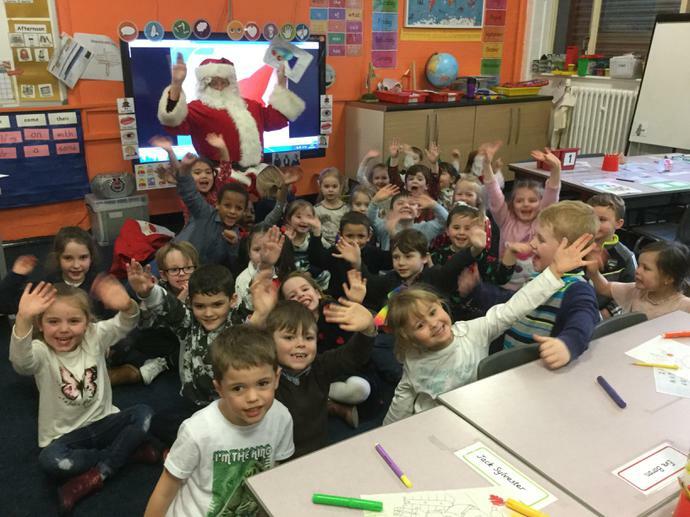 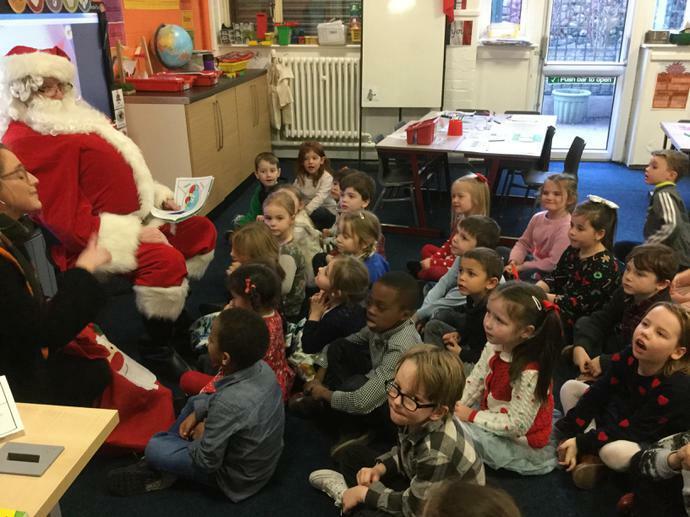 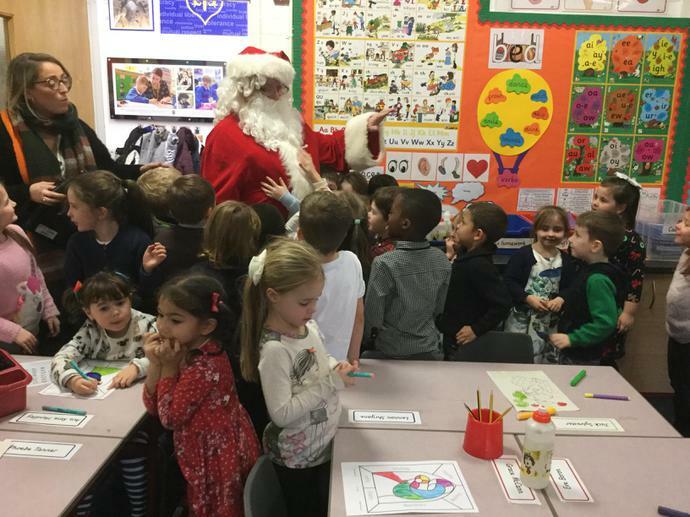 Elm class was very excited to meet Father Christmas. 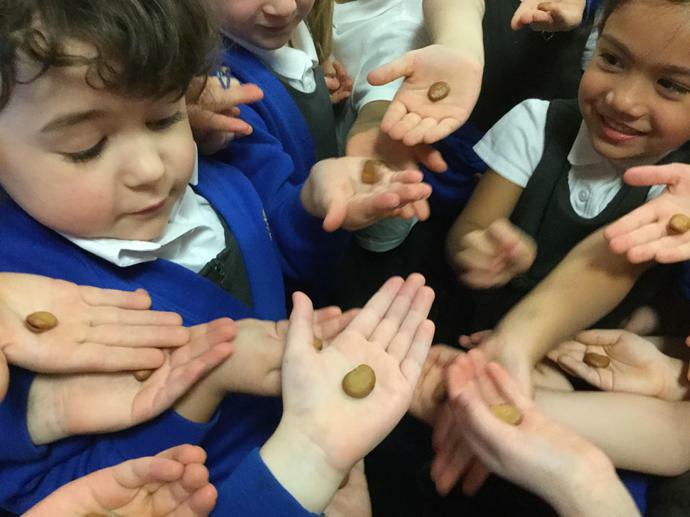 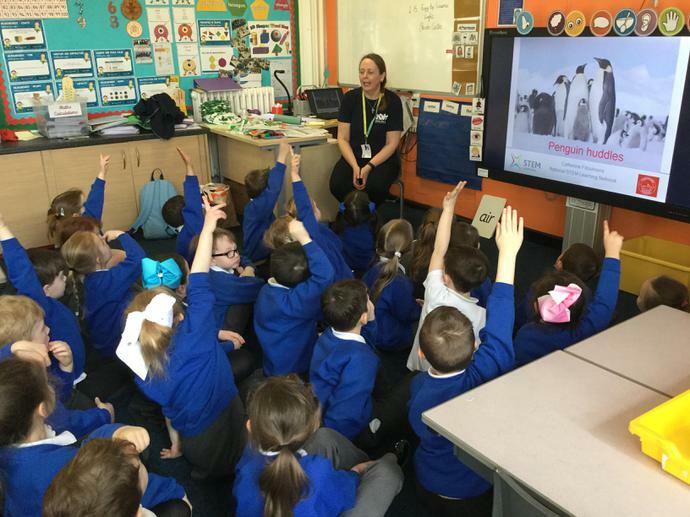 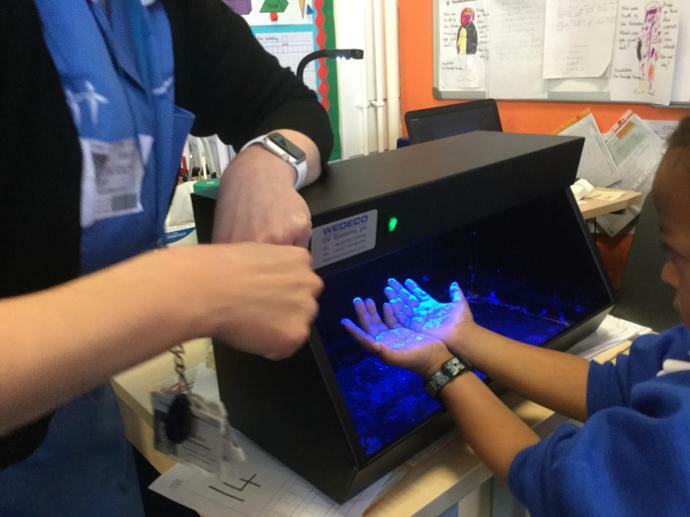 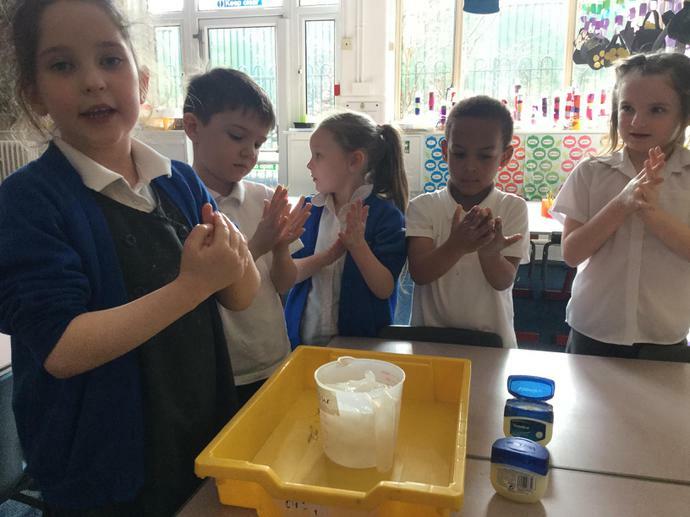 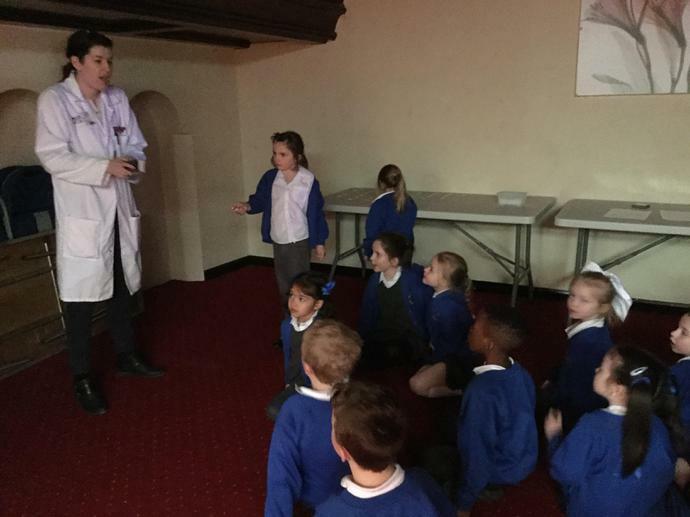 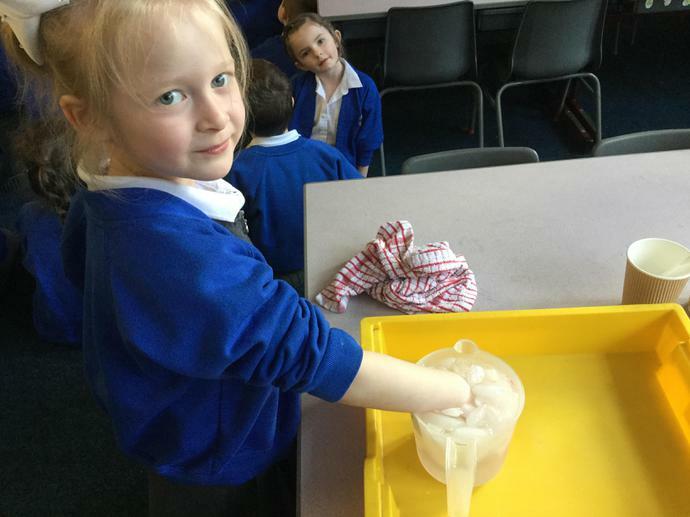 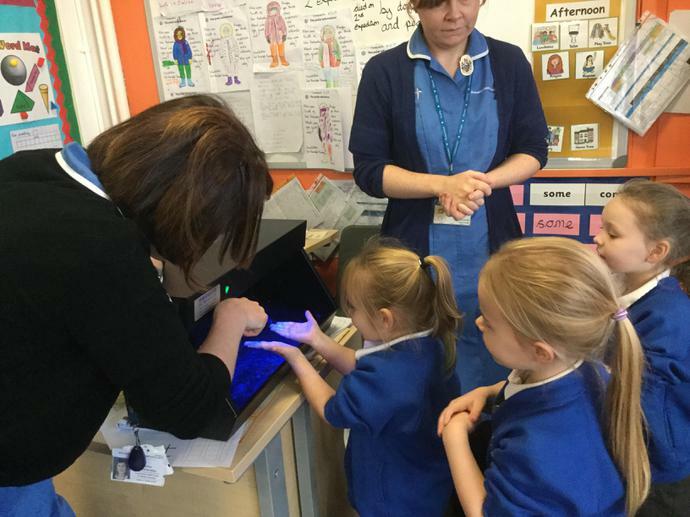 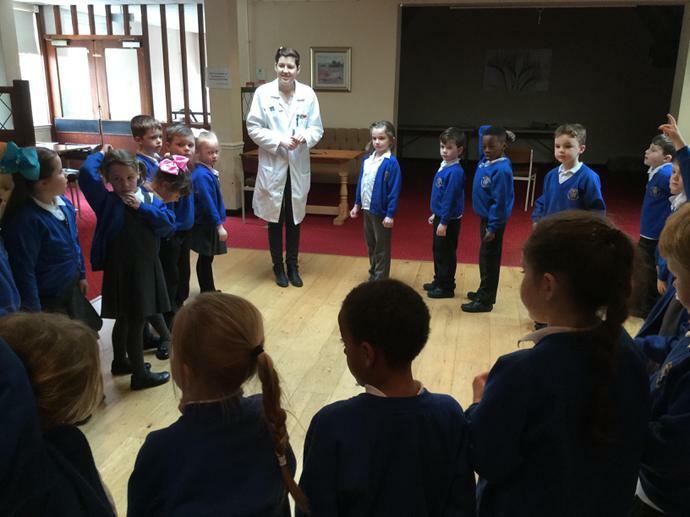 Nurses showed the children in Elm how to wash their hands. 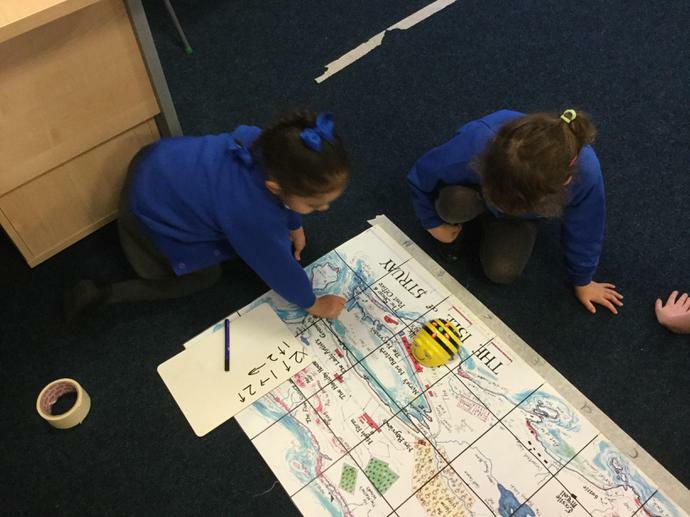 Voting in Elm. 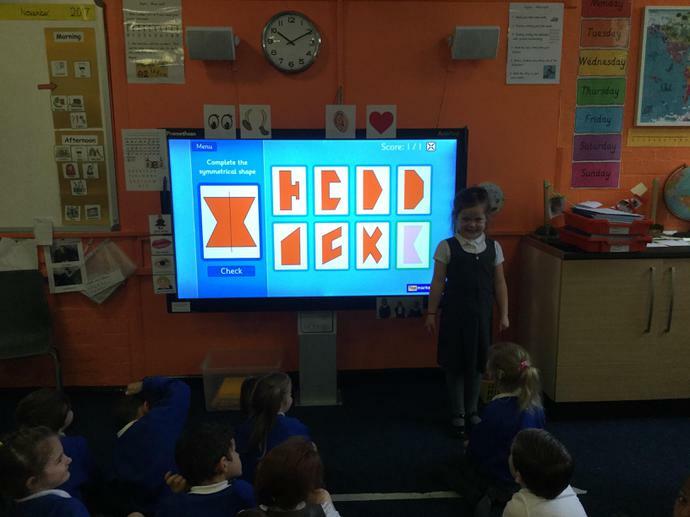 Can you see which party won? 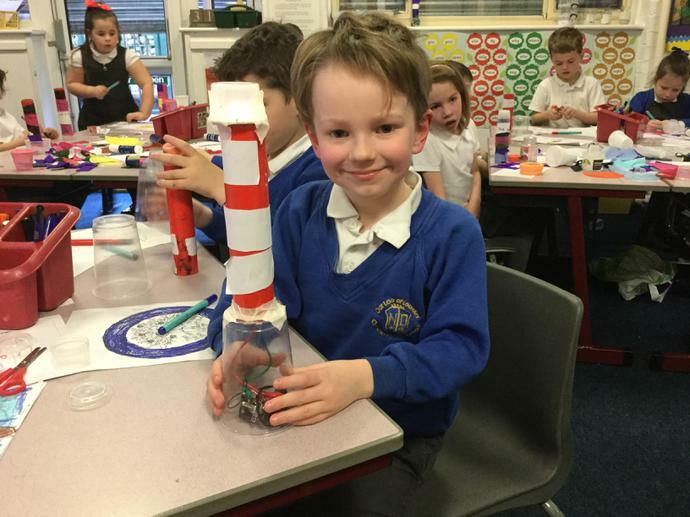 Well done to those children who have completed the homework on Scott of the Antarctic. 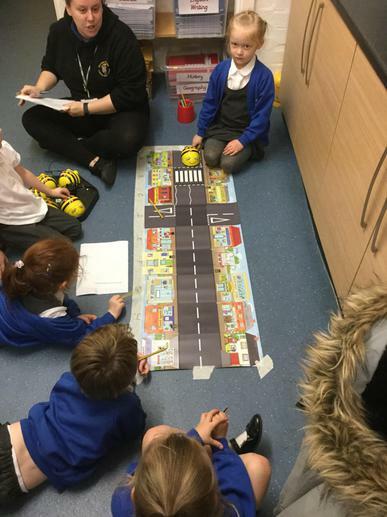 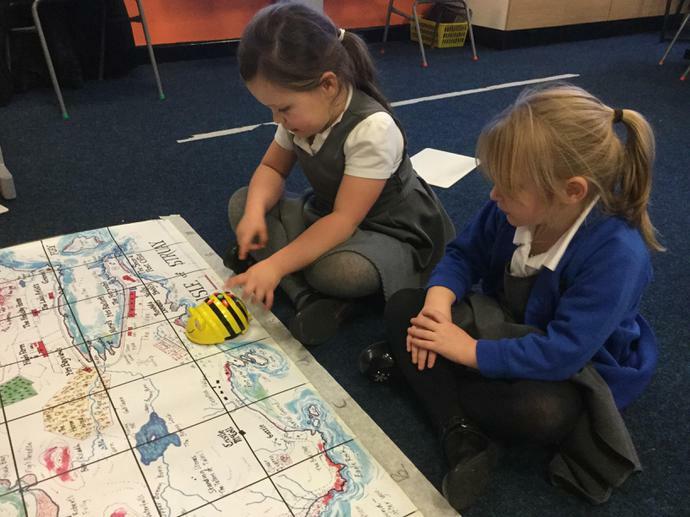 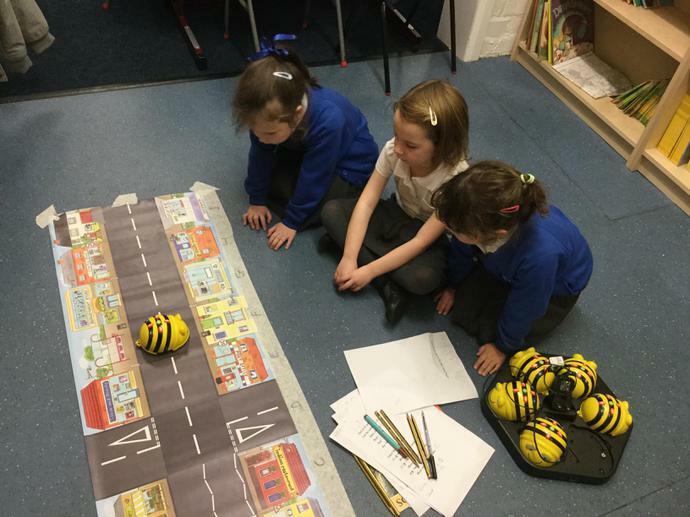 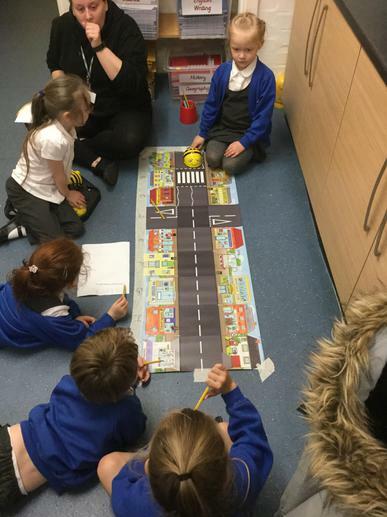 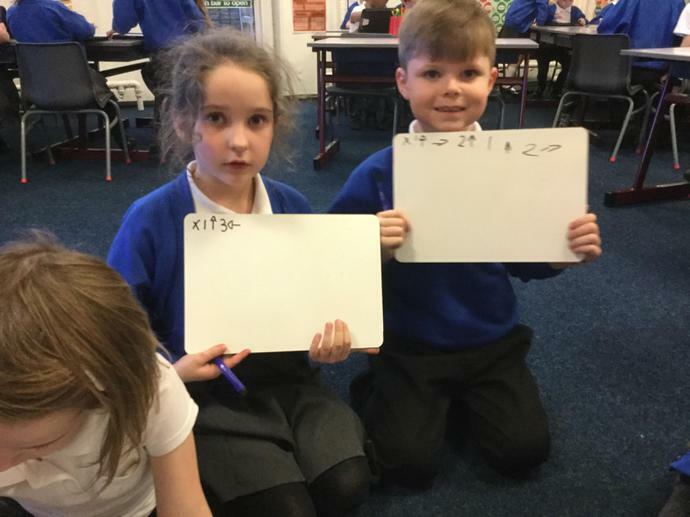 We are learning lots of new facts. 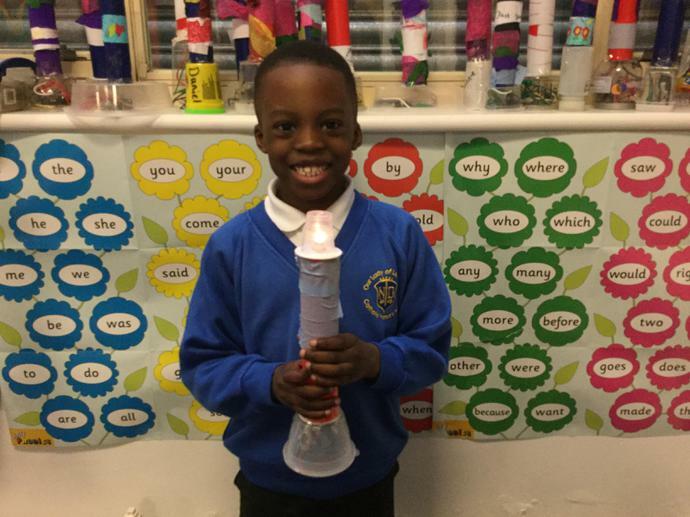 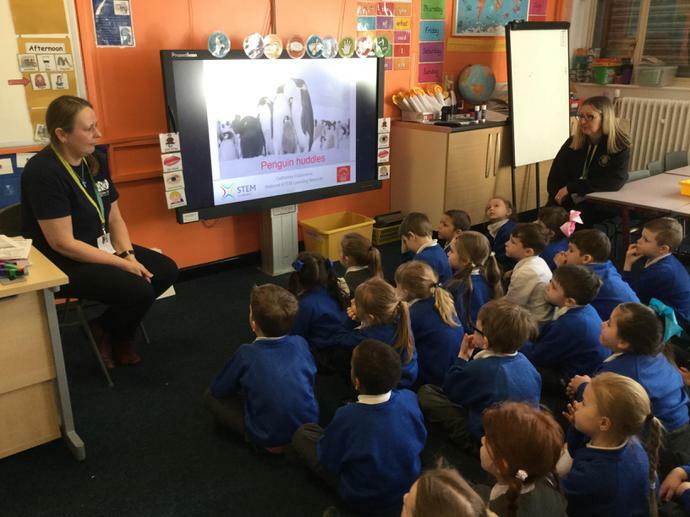 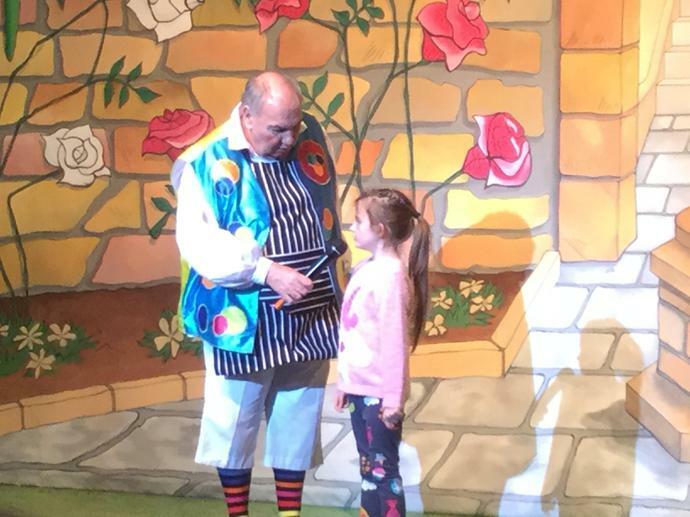 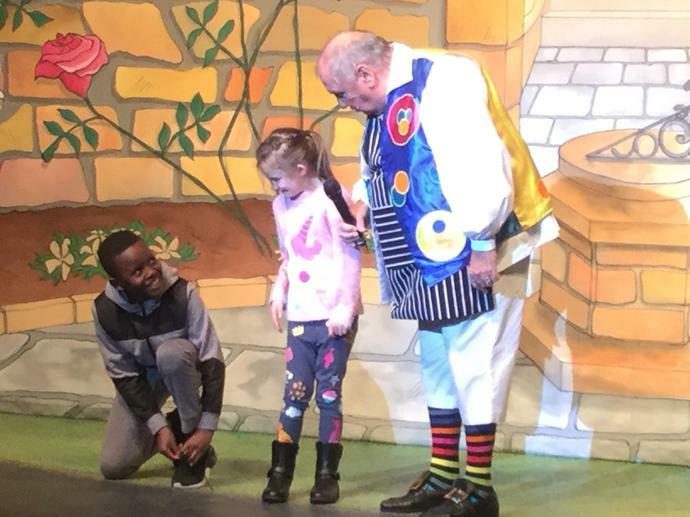 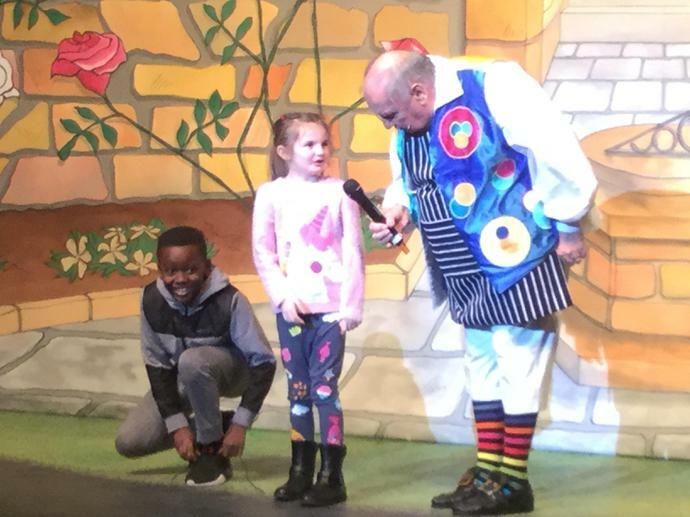 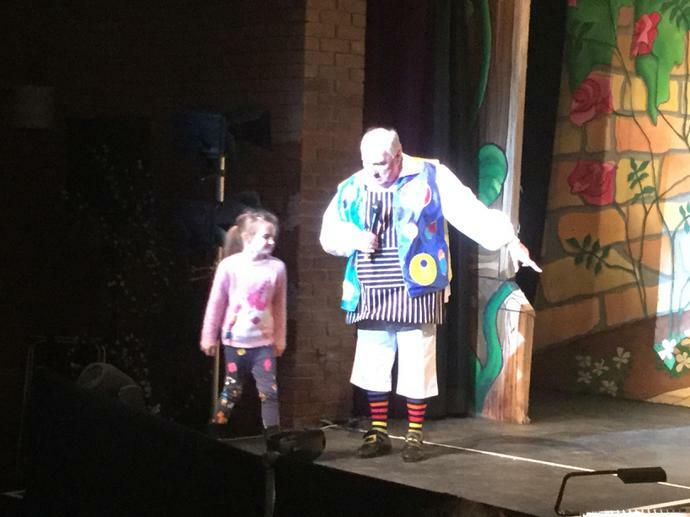 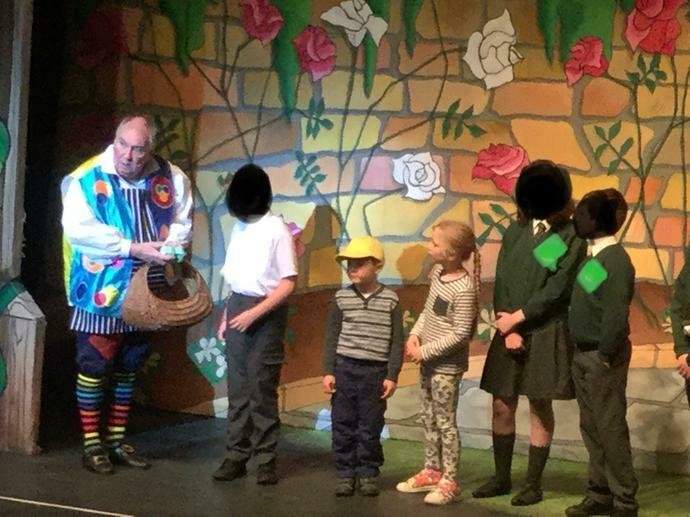 Is there something your child would like to know? 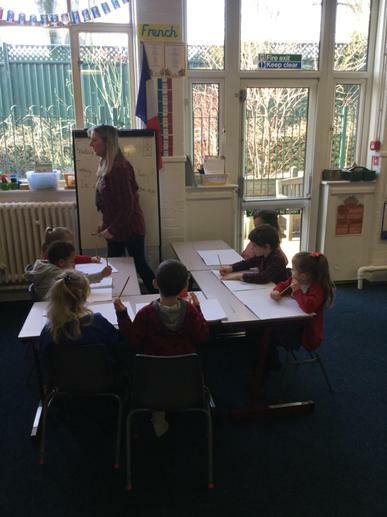 Encourage them to ask a question on Monday please. 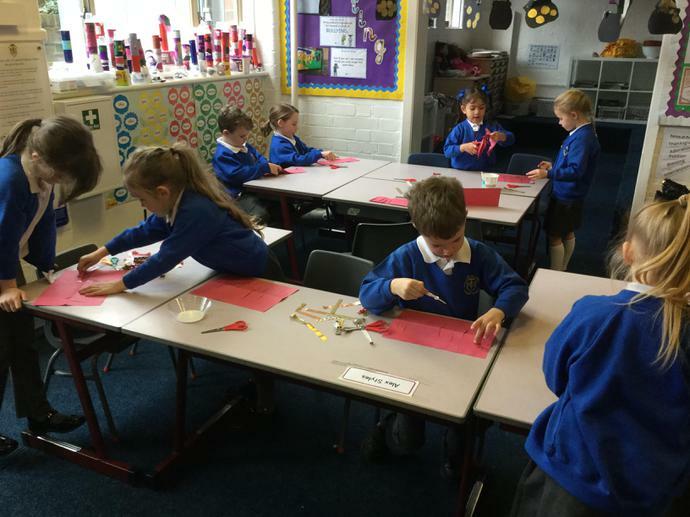 We have been describing 2D and 3D shapes. 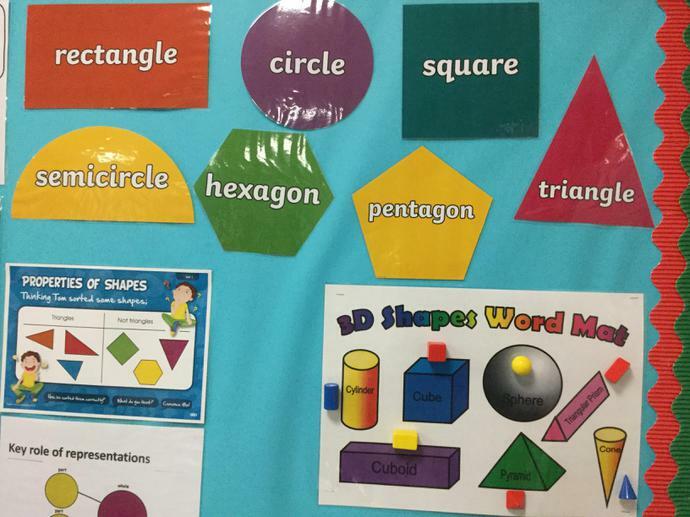 Ask your child to tell you about the shapes we have looked at.